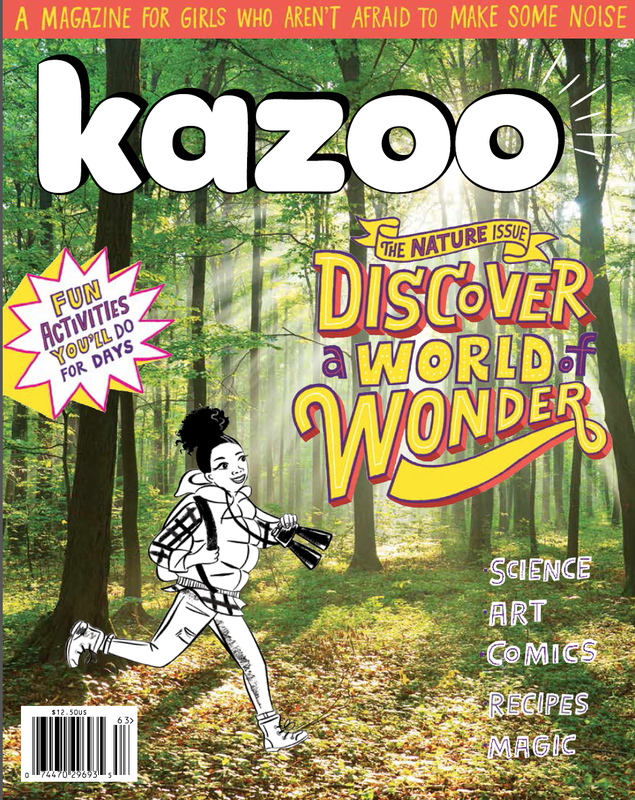 Kazoo is a new kind of print magazine for girls – one that offers a world filled with more than the color pink and shiny lip glosses. 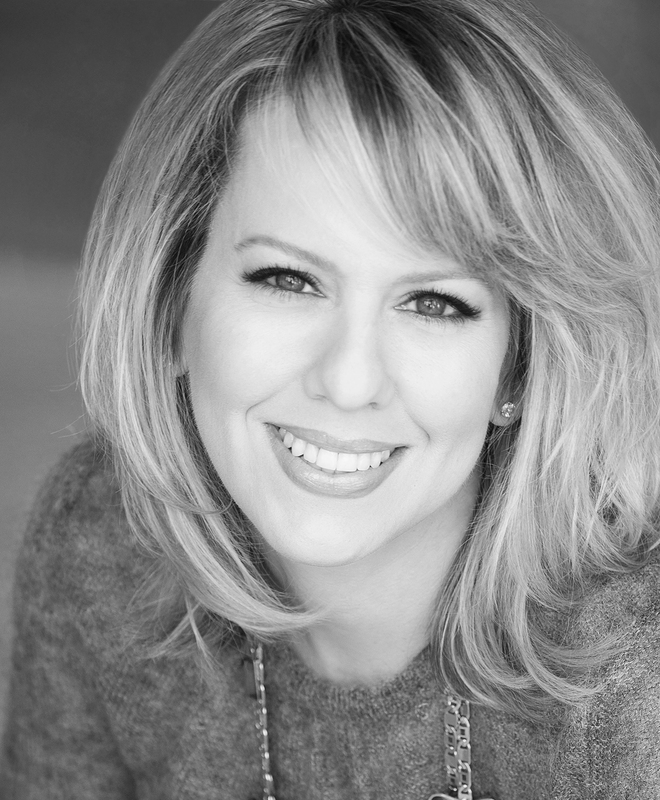 Its founder, Erin Bried, is an author and veteran of the publishing industry. She decided to launch Kazoo magazine as an alternative to the staunchly stereotypical girl’s magazines that are out there in the marketplace and give her readers, target age 5-10 years old, something a little meatier to engage with; a magazine that promotes critical thinking and strong women, both past and present, and gives its readers successful and admirable role models to consider. It’s a lovely magazine with a fresh and energetic take on the world of little girls. And it’s a Mr. Magazine™ selection for one of the 30 Hottest New Launches, well-deserved, I might add. I spoke with Erin recently and we talked about her vision for Kazoo, both before the first page was ever printed and now, after the second issue has been completed. Having been unable to find any magazines that reflected her daughter’s passions and interests, such as science and tree-climbing, Erin decided that it was time to fill that niche. So, Kazoo was born through Kickstarter and a lot of support from readers who obviously agreed with Erin, as her campaign was the highest-grossing journalistic endeavor in history for the crowdfunding resource. I hope that you enjoy this conversation with a woman who knows innately that to offer children the world, there’s no better way to do it than through a great magazine; the Mr. Magazine™ interview with Erin Bried, founder, Kazoo magazine. On that moment when she discovered that there was a niche, a place for a new type of kid’s magazine: Yes, it all revolved around that trip to the bookstore with my five year old. We were picking up some books and then we stopped by the newsstand and I looked at all of the titles. I’m familiar with the adult magazines, certainly, having been in the industry for so long. But I hadn’t really paid too much attention to the kid’s magazines up until then, when my older daughter came of age and started reading them. So, I figured we would stop by the newsstand and see if we could find something good for her to read. And I was so shocked by the offering on the newsstand and the lack of diversity for girls. Every cover we saw that day had a little girl in lip gloss and makeup on the cover; stories on good manners or pretty hair, or about her personal drama, and I just wanted so much more for my daughter. On the prevalence to launch new magazines these days via a crowdfunding source such as Kickstarter: I think it’s such a fantastic platform for us. I chose to launch through Kickstarter because I wanted to see if there was a big enough audience right away. I know how hard the print landscape is right now and I wanted to make sure that I was launching a successful enterprise with a big enough and passionate enough audience behind it. On whether anyone stopped her during this journey to ask if she was out of mind for launching a print magazine in this digital age: It does feel like a radical thing to do at this moment, for sure. But I think kids in particular still crave, and in fact, require printed material. There are statistics from the American Academy of Pediatrics that children have on average seven hours of screen time per day, which is insane. No parent wants that for their child. And I don’t think it’s satisfying for kids either; it’s not engaging. And I know this is true of my daughters; kids like to have that tactile sensation; they like to turn and feel the pages and see the bright colors. And also go back to stories over and over again, without all those annoying popup ads and the low-battery lights; all of those things. On the biggest stumbling block she’s had to face and how she overcame it: I wouldn’t say that there has been a stumbling block; I think it was a tremendous blessing for us, but we took off so quickly. We finished the Kickstarter and I had scheduled the first issue to come out only three months later, which in retrospect I wish I would have allowed myself a little bit more time (Laughs), because we spent the first few weeks fulfilling all of the rewards for the Kickstarter. So we were sending T-shirts and bags; kazoos and stickers all over the world. And that was very time-consuming. We’ve had such tremendous growth so quickly, and for that I am so excited and grateful. And we’ve had to adapt to that quickly as well. I was doing the envelope-licking and stuffing and managing the subscriber data base myself with this increasingly unwieldy Excel spreadsheet. We finally got help for that and I think it will make a huge difference in freeing up my time and brain space to think harder and longer about the actual making of the magazine. On the most pleasant moment for her throughout this experience: Despite all of the glue on my tongue from the envelope licking, the entire process has been so exciting, heartening and inspiring. And I have loved every second of it. We have gotten such incredible reader feedback everyday on social media. And through email we get pictures of our readers clipping the magazine with their art projects. Now we’re starting to get mail from them with pictures they’ve drawn and funny jokes they want to share, and questions they want us to ask scientists. On whether she thinks there is room for more children’s magazines in the marketplace that are purely circulation driven and with no ad revenue: I certainly think there is more room; we’re definitely proof of that. There is nothing like Kazoo on the newsstands. There is nothing with such a strong point of view. And I think that’s what sets up apart; every story in Kazoo is either developed or inspired by a top woman in her field. On whether she believes that’s the future of the magazine industry; to be more circulation driven than advertising driven, especially in print: We don’t have any ads between our covers and I think that’s because no parent wants their kid wading through advertisements; these aren’t savvy consumers, and they don’t know the difference between editorial and ads. And I want our editorial to remain pure. Most magazines make most of their revenue through advertising and I feel like that can be a problematic paradigm. 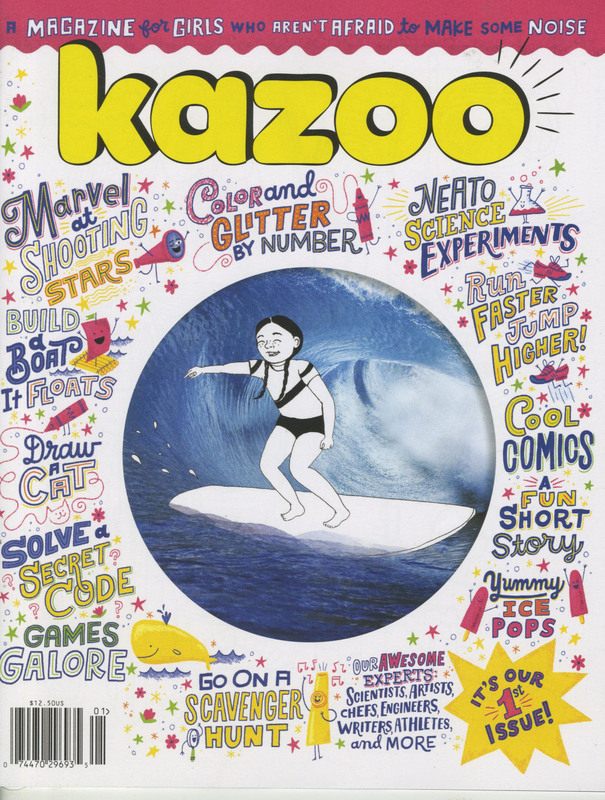 On whether she hesitated when she made the cover price of Kazoo $12.50: I was a little concerned about that, but then I thought of all of these major consumer magazines and if you pulled out every ad page, the quantity of editorial in Kazoo is certainly comparable. So, will parents pay a higher premium to protect their children from a constant barrage of advertisements; I think so. On having an online presence: You have to have an online presence, that’s the way we connect with the parents of our readers and let them know what we’re doing. To be a quarterly; you put your issue out and then you’re sort of quiet for a few months, and I want to maintain the relationship throughout the whole year, every day. On what role she thinks the printed magazine plays in today’s digital age: The act of holding a magazine in your hands and turning the pages gives you some breathing room and some time to focus and concentrate. It gives you a moment to pay attention and sit with material and come back to stories over and over in a way that the Internet doesn’t allow. It’s just so fast paced. It just gives kids space to think and dream. On whether she will publish a Kazoo for boys: As far as boys go, we certainly welcome boys as our readers; our target is girls, but I think it would be amazing for boys to subscribe to Kazoo. There’s nothing about the actual content of the magazine that boys couldn’t read and enjoy. They could do the mazes, read the short stories, and do the science experiments. There is nothing gendered about it. Would I launch a separate magazine for boys? Not right now. On what made her decide to go with the handwritten-type covers: I wanted it to be colorful and playful and engaging, and also accessible for our readers. Our five-year-old readers are only just learning to read, so they’ll be reading with their parents. Our ten-year-old’s certainly will be reading by themselves, so I wanted it to engage and be accessible to all of our readers. On anything else she’d like to add: One thing I would like to say about Kazoo is you hear a lot of talk about how we need to inspire our girls and help them feel confident and all of these different things. That’s often the talk we hear about what girls need and require, but I think what’s different about Kazoo is young girls are our target readers, ages 5-10, and they already know that they’re smart. They already know that they can be silly and run fast and they can do anything, this is not new information to them. It would be shocking to them if you told them otherwise. On what someone would find her doing if they showed up at her home one evening unexpectedly: Right now, after the kids go to bed, I’ll often hop back on the computer and do more work while the house is quiet. But yes, a glass of wine is always such a nice way to end the day, and some conversation with my better half. Going out to dinner in Brooklyn; any of those things sound great. On what keeps her up at night: (Laughs) What doesn’t keep me up at night? It’s been a little bit difficult lately. My kindergartner was having a thing at school where her whole class takes a bite of an apple at the same time, and I woke up in the middle of the night because I had forgotten to put an apple in her bag. I got up and put the apple in her bag, so it can be something as trivial as that, to what artist are we going to use for the spring issue? Which fiction author will write our next short story? And now the lightly edited transcription of the Mr. Magazine™ interview with Erin Bried, founder, Kazoo magazine. Samir Husni: You’ve managed to receive a lot of publicity and write-ups about Kazoo and about your story; would you mind telling me about that moment when you discovered there was a niche, a place for a new kind of kid’s magazine? 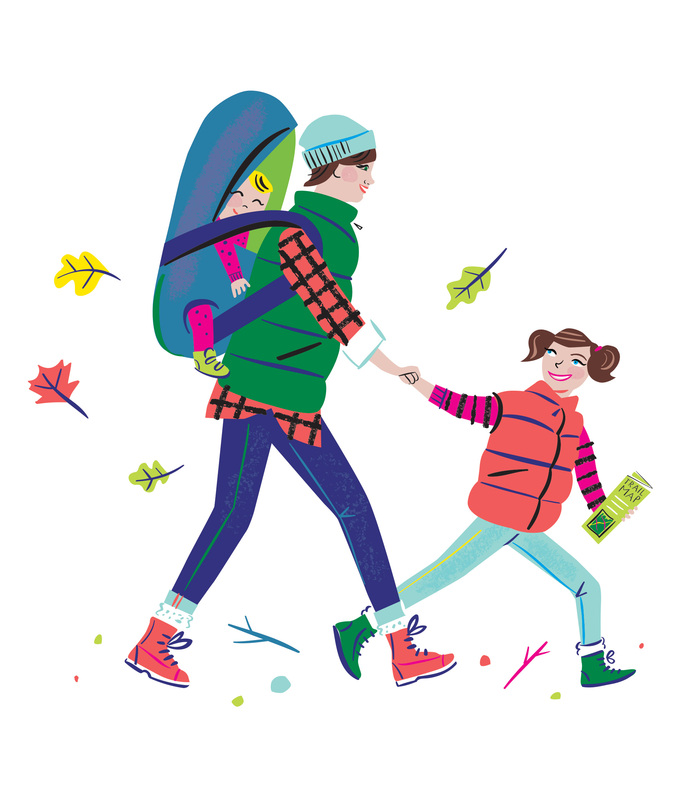 Erin Bried: Yes, it all revolved around that trip to the bookstore with my five year old. We were picking up some books and then we stopped by the newsstand and I looked at all of the titles. I’m familiar with the adult magazines, certainly, having been in the industry for so long. But I hadn’t really paid too much attention to the kid’s magazines up until then, when my older daughter came of age and started reading them. So, I figured we would stop by the newsstand and see if we could find something good for her to read. And I was so shocked by the offering on the newsstand and the lack of diversity for girls. Every cover we saw that day had a little girl in lip gloss and makeup on the cover; stories on good manners or pretty hair, or about her personal drama, and I just wanted so much more for my daughter. She’s not interested in any of that. She’s more interested in climbing trees, running fast and playing pirates. There was nothing on the newsstand that we saw to reflect her interests and her passions. So, we left that day with no magazines and she was just totally OK with it; she didn’t think twice about it. As we were walking home I kept thinking about it. I kept thinking how terrible it was that I could not find anything for her and that we could do so much better for our daughters. These messages have real consequences in their lives; we’ve seen this in so much of the research. Well, I tucked it in the back of my mind, but I kept thinking that somebody should do something about it, and it became one of those ideas that stuck. It kept percolating and percolating. Finally I thought if somebody is going to do something; I can’t wait on that. I had the background and I certainly had the skills, so I decided to do it. I was going to be the one to bring this into the world. And then shortly after that we launched the Kickstarter. Samir Husni: It seems that almost three out of every ten new magazines I see have been launched via crowdfunding; via Kickstarter. Erin Bried: I think it’s such a fantastic platform for us. I chose to launch through Kickstarter because I wanted to see if there was a big enough audience right away. I know how hard the print landscape is right now and I wanted to make sure that I was launching a successful enterprise with a big enough and passionate enough audience behind it. And I was so happy and inspired to find out that there were so many other parents and uncles, grandparents and neighbors who felt the same way I did. Within 30 days we had raised over $171,000, which made us when we closed our campaign, the highest journalism Kickstarter campaign in history. And that was so exciting. Samir Husni: Erin, you’re a product of this magazine industry and have been involved with so many things; did anyone stop you during this entire journey and ask you were you out of your mind to launch a print magazine in this digital age? Erin Bried: (Laughs) It does feel like a radical thing to do at this moment, for sure. But I think kids in particular still crave, and in fact, require printed material. There are statistics from the American Academy of Pediatrics that children have on average seven hours of screen time per day, which is insane. No parent wants that for their child. And I don’t think it’s satisfying for kids either; it’s not engaging. And I know this is true of my daughters; kids like to have that tactile sensation; they like to turn and feel the pages and see the bright colors. And also go back to stories over and over again, without all those annoying popup ads and the low-battery lights; all of those things. Also, Kazoo is designed for kids to actually use and manipulate the pages. There are search and finds, where they will circle the hidden objects; there are mazes where they will take a crayon or pencil and mark right on the page and I think that’s very important. Samir Husni: Now, with two issues under your belt; what has been the biggest stumbling block that you’ve had to face and how did you overcome it? Erin Bried: I wouldn’t say that there has been a stumbling block; I think it was a tremendous blessing for us, but we took off so quickly. We finished the Kickstarter and I had scheduled the first issue to come out only three months later, which in retrospect I wish I would have allowed myself a little bit more time (Laughs), because we spent the first few weeks fulfilling all of the rewards for the Kickstarter. So we were sending T-shirts and bags; kazoos and stickers all over the world. And that was very time-consuming. But we managed to pull off a wonderful first issue. We had all of these great contributors from Alison Bechdel to Diana Nyad and Mickalene Thomas. So we did it. It wasn’t easy and I didn’t sleep very well, but we made it. So, I would have allowed more time. And as I said earlier in our conversation, we’ve had such tremendous growth so quickly, and for that I am so excited and grateful. And we’ve had to adapt to that quickly as well. I was doing the envelope-licking and stuffing and managing the subscriber data base myself with this increasingly unwieldy Excel spreadsheet. We finally got help for that and I think it will make a huge difference in freeing up my time and brain space to think harder and longer about the actual making of the magazine. Samir Husni: What has been the most pleasant moment for you throughout this experience? Erin Bried: Despite all of the glue on my tongue from the envelope licking, the entire process has been so exciting, heartening and inspiring. And I have loved every second of it. We have gotten such incredible reader feedback everyday on social media. And through email we get pictures of our readers clipping the magazine with their art projects. Now we’re starting to get mail from them with pictures they’ve drawn and funny jokes they want to share, and questions they want us to ask scientists. And I have never before in my career felt so connected with the reader and so conscious of doing right by them. I want to exceed their expectations every issue, and I’m talking about both the kids and the parents. I just want to make it great and I want everybody to be excited. I want every issue to be better than the last. And just seeing the smiles on their faces and the art projects that they’ve been inspired to do, and getting these letters from parents that say things like their kids have never read out loud before, but they have been reading the stories over and over again to everyone. There is nothing better than that; there’s nothing more satisfying than that. Samir Husni: There are plenty of children’s magazines in the marketplace and as you’ve said, the majority of them cater to the Barbies and the princesses of the category. When you look at magazines like Highlights, which for 70 years never accepted advertising and depended on circulation; do you think there is more room for children’s publications today that are along the same route as Kazoo, which is purely circulation driven with no ad revenue? 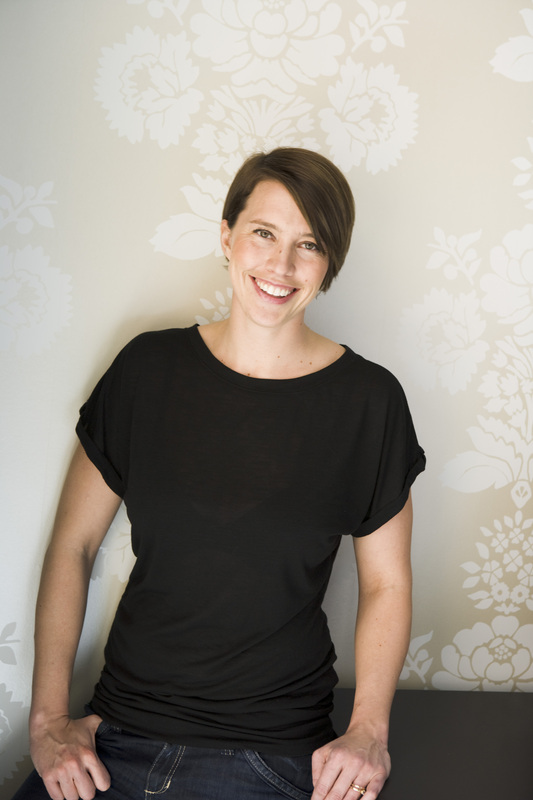 Erin Bried: Yes, Highlights is amazing with what they have done and what they’ve grown. I certainly think there is more room; we’re definitely proof of that. There is nothing like Kazoo on the newsstands. There is nothing with such a strong point of view. And I think that’s what sets up apart; every story in Kazoo is either developed or inspired by a top woman in her field. Samir Husni: Do you think that’s the future of the industry; to be more circulation driven, rather than advertising driven, especially in print? Erin Bried: We don’t have any ads between our covers and I think that’s because no parent wants their kid wading through advertisements; these aren’t savvy consumers, and they don’t know the difference between editorial and ads. And I want our editorial to remain pure. Most magazines make most of their revenue through advertising and I feel like that can be a problematic paradigm. Samir Husni: You’re someone who is in the industry; you’re not some novice who just one day decides to start a magazine. You know how the industry works. Did you hesitate when you put a cover price of $12.50 on the magazine? For $12.50 I can get a whole year of some magazines that will remain nameless. Erin Bried: Yes, it’s true, I was a little concerned about that, but then I thought of all of these major consumer magazines and if you pulled out every ad page, the quantity of editorial in Kazoo is certainly comparable. So, will parents pay a higher premium to protect their children from a constant barrage of advertisements; I think so. There are two other reasons for our cover price. 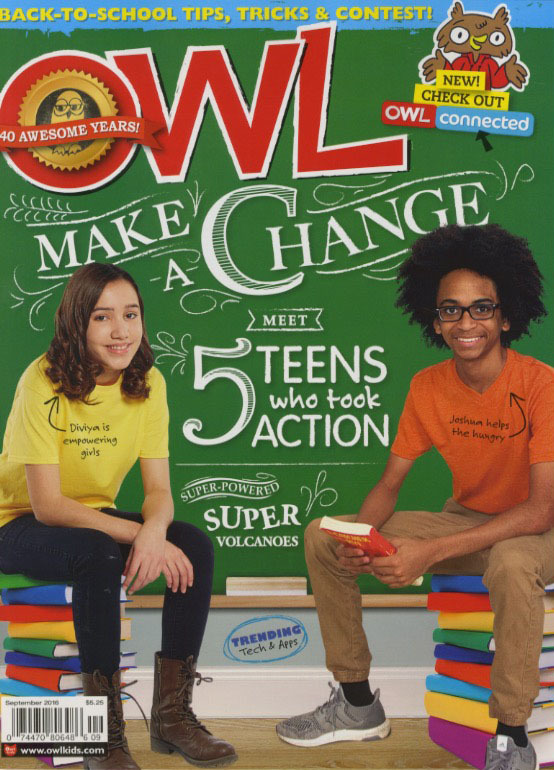 One is we print in the U.S.A., in Vermont, on recycled paper, which I think is important when you’re making a magazine for children to keep their futures in mind; we wanted to do it in a sustainable way. And finally, I feel very passionately about the importance of paying your contributors, and I think that’s one of the problems with digital media. You have all of these websites that are asking for content and are not paying their contributors as well. And I want top contributors and I want to value our artists for their work. And to do that, you need to pay them. Samir Husni: I love your P.S. in the first issue: Although Kazoo is print only by design, we have some cool stuff online. Erin Bried: You have to have an online presence, that’s the way we connect with the parents of our readers and let them know what we’re doing. To be a quarterly; you put your issue out and then you’re sort of quiet for a few months, and I want to maintain the relationship throughout the whole year, every day. And let people know what we’re up to and what we’re excited about. We want to hear from them and find out what they want to see more of so that we can keep evolving the magazine, and keep everyone excited, happy and satisfied. Samir Husni: In this day and age, where you see we are bombarded by information and we’re living in what I call an “isolated connectivity,” what role do you think the print magazine plays in today’s new generation? Erin Bried: The act of holding a magazine in your hands and turning the pages gives you some breathing room and some time to focus and concentrate. It gives you a moment to pay attention and sit with material and come back to stories over and over in a way that the Internet doesn’t allow. It’s just so fast paced. It just gives kids space to think and dream. With Kazoo that’s what I want for them. I want girls and boys too, but girls especially, to come to these pages and be inspired. Here’s a scientist who’s studying space and meteorites that come to Earth, and what if I could do that? And I don’t think you have the room to daydream like that on the Internet and to imagine your future like that when you’re on the computer and you’re constantly clicking forward and backward and bookmarking and closing popup ads. It just doesn’t give you the space to do that like print does. One thing that I love that we do in Kazoo is that we illustrate all of our experts as they were when they we were young girls. So, I get photos of all of them when they were girls to give to whoever is illustrating our current issue, we have a different illustrator every issue, and they illustrate our experts. We get their childhood photos and we draw them as they were when they were kids, so our readers can more easily see themselves in these future positions of power. 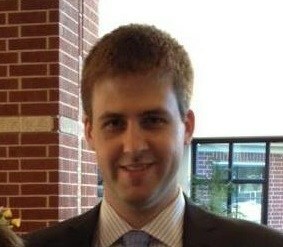 What does a future Fulbright Award winning cosmos chemist look like? She looks just like me. Or what does a future Olympian look like? She looks just like me. A future major artist or a future record-breaking swimmer; what do they look like? I just want our readers to be able to see themselves in every page of the magazine and imagine a future where they can be anything. Samir Husni: Will you publish a Kazoo for boys? Erin Bried: We get so many emails from parents asking about a Kazoo for teenaged girls and I always laugh and I’m so flattered that people will write and think why not just launch two magazines at once. (Laughs) It’s a wonderful idea, but I don’t think I can do that right now. As far as boys go, we certainly welcome boys as our readers; our target is girls, but I think it would be amazing for boys to subscribe to Kazoo. There’s nothing about the actual content of the magazine that boys couldn’t read and enjoy. They could do the mazes, read the short stories, and do the science experiments. There is nothing gendered about it. It would be amazing for them to see all of these wonderful women role models, because we don’t see them when you look around in popular culture. We don’t see them as much in politics, or hanging on the walls of our museums or in our Fortune 500 companies. We just don’t see women as much, so I think it’s important to carve out that niche for girls. We don’t see them even in children’s books. Boys are 1.6 times more likely to be in the title of a children’s book than a girl. It’s important to create this space for girls. Boys certainly have a lot of gender expectations that are put on them that are as unfair as the gender expectations that are often put on girls. Would I launch a separate magazine for boys? Not right now. Samir Husni: I have to ask you about the design. What made you decide to go with handwritten covers; what was your thinking behind that? Erin Bried: I wanted it to be colorful and playful and engaging, and also accessible for our readers. Our five-year-old readers are only just learning to read, so they’ll be reading with their parents. Our ten-year-old’s certainly will be reading by themselves, so I wanted it to engage and be accessible to all of our readers. And we also made a conscious decision not to picture any girls on our pages. You’ll see that there are no photos of real girls on any page, because I never wanted our readers to start comparing themselves to anyone else and think that they don’t look right or doing it right; that they don’t look happy enough or just whatever. I wanted them to totally be lost in their own experience. So, that was a conscious decision not to picture girls on any pages. And it was a good one. It allows us to be really playful with our illustrations and we often combine illustrations with photos, which I think is really fun and engaging, and offers a lot of depth and diversity. I have such a great team helping me; Nia Lawrence is our art director and Andie Diemer is our photo editor. I just feel so grateful to be working with such smart and creative people. Erin Bried: One thing I would like to say about Kazoo is you hear a lot of talk about how we need to inspire our girls and help them feel confident and all of these different things. That’s often the talk we hear about what girls need and require, but I think what’s different about Kazoo is young girls are our target readers, ages 5-10, and they already know that they’re smart. They already know that they can be silly and run fast and they can do anything, this is not new information to them. It would be shocking to them if you told them otherwise. Kazoo’s mission is to reinforce what they already know. If you go to playground and you look at young girls play, they’re screaming, running, hanging upside down; they’re being strong; they’re already amazing. And Kazoo is just reinforcing in them what they already know, so that by the time they do get to adolescence, which is typically when young girls start to question their confidence, our Kazoo readers will be fortified, they will be more likely to question anybody who makes them feel wrong or that they can’t do something, than they would themselves. I’d also like to say that I don’t have a problem with princesses, just that there is more out there than the color pink for girls. Kazoo is not an anti-princess magazine in any way; it’s just a magazine that offers a whole world out there. Samir Husni: If I showed up at your home one evening unexpectedly what would I find you doing; reading a magazine; reading your iPad; having a glass of wine; watching television; or something else? Erin Bried: Right now, after the kids go to bed, I’ll often hop back on the computer and do more work while the house is quiet. But yes, a glass of wine is always such a nice way to end the day, and some conversation with my better half. Going out to dinner in Brooklyn; any of those things sound great. I feel like it’s been a while since I’ve done any of those things. Right now it’s still fast and furious startup mode. Erin Bried: (Laughs) What doesn’t keep me up at night? It’s been a little bit difficult lately. My kindergartner was having a thing at school where her whole class takes a bite of an apple at the same time, and I woke up in the middle of the night because I had forgotten to put an apple in her bag. I got up and put the apple in her bag, so it can be something as trivial as that, to what artist are we going to use for the spring issue? Which fiction author will write our next short story? It’s such exciting stuff to think about, and I guess I’m up because I’m excited about everything we can do. There’s so much to do and having only put out two issues so far I have a list of ideas longer than my arm. It’s just so amazing and I feel so grateful and lucky to know I have a job where I can think, who do I want to talk to? Which writer in the whole world do I want to talk to next about writing and getting writing activities or lessons from to teach our readers? Which amazing woman should we feature in the next maze, where they can meet her from one point to her destination? We’ve done Jane Goodall, Into the Forest of Tanzania; we’ve done Diana Nyad, from Cuba to Florida; who do we want to feature next in this maze? It’s just all so exciting. The whole world is out there for us to explore and to share with our readers; that’s what keeps me up at night. I teach a graduate class in Content Marketing that is being offered at our school for the first time as part of the Integrated Marketing Communications program. It brought back a lot of memories of seminars that I gave both in the States and in Europe about content and custom marketing even before the word content marketing became a household phrase in media circles. In addition to that I wrote a book in 2003 titled $elling Content, and yes it is a $ and it is not a typo. I used the dollar sign to replace the letter S. I always believed that good journalism and good marketing are alike. They need each other today more than yesterday and less than tomorrow. We should be in the business of selling content (after all that is the only goods a journalist produces) and we should not stop at anything to ensure we are selling our goods to both customers: our audience and our advertisers. However, teaching this course made me think what does it mean to “market content” and how is that different from “content marketing?” Well, the old saying: drive your pigs to market usually meant the farmer was trying to sell his pigs; the same principal applies to content. When you market what’s between the pages of your magazine, you are for all intents and purposes selling that content to the consumer. Therefore, as the magazine industry continues to evolve, it is important now more than ever to learn about the difference between marketing content and content marketing. When you throw those two phrases into the same sentence, many times people fail to see the difference, but there is one most definitely. Contrary to popular belief, magazines are in the business of selling content, in fact, that is the product in which they produce; viable, sellable content. And that content always comes in the form of words on a page, images, ads and anything else that’s placed between the front and back covers of your book. End of debate, if there was one going on that I am unable to know about at the other end of this computer. When you start looking at marketing, and you start equating journalism, brands and marketing, what is the only common factor between those three? It’s the content. We may not call the products of a brand content, but if we think of Nike shoes as made of rubber, threads, fabric, etc. the content of the product becomes very important to what we are doing. You cannot create a good product if you use cheap content. So if you use cheap fabric, guess what? Those Nike shoes are not going to be built to last. So when we say we are in the business of content, regardless of what the product is, our job becomes so much more important. So, if marketing content is selling your content; just what in the blue blazes is content marketing? Well, for starters, it isn’t marketing content, that’s for sure. With content marketing you market a brand to an audience. With marketing content, you need to identify the audience first, see what content they are looking for and then complement that content with your brand. Remember, marketing content is about those elements that build that audience relationship: design, images, typography and storytelling. When you market that structured content to the target audience, you stand a greater chance for success. Content marketing is using content to market a brand to an audience; a noble venture, no doubt, but very different from marketing content. Let’s take two magazines that are similar in “content” only because they are both filled with delicious recipes. They sell on the newsstands for $12.99 and $12.95 respectively. Bake from Scratch has 114 pages, Sift has 108 pages. 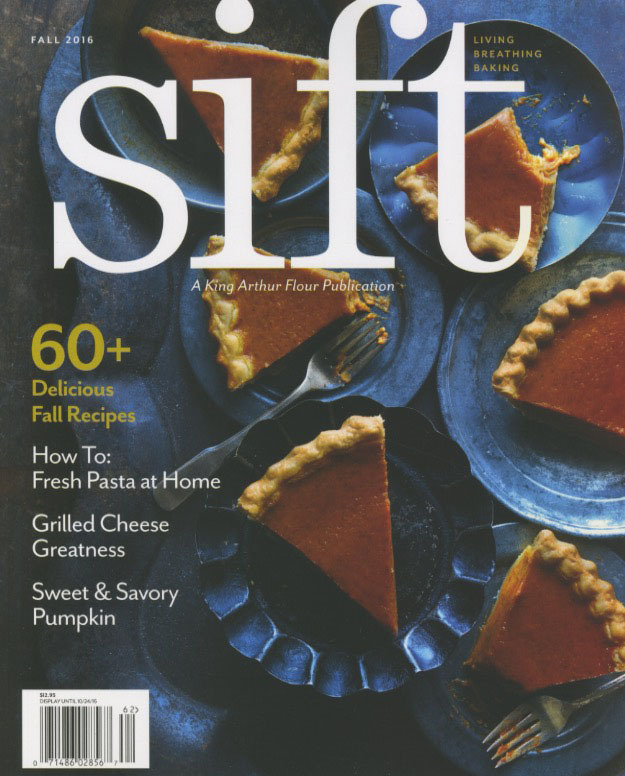 Bake from Scratch, a Hoffman Media publication, and Sift, A King Arthur Flour Publication. 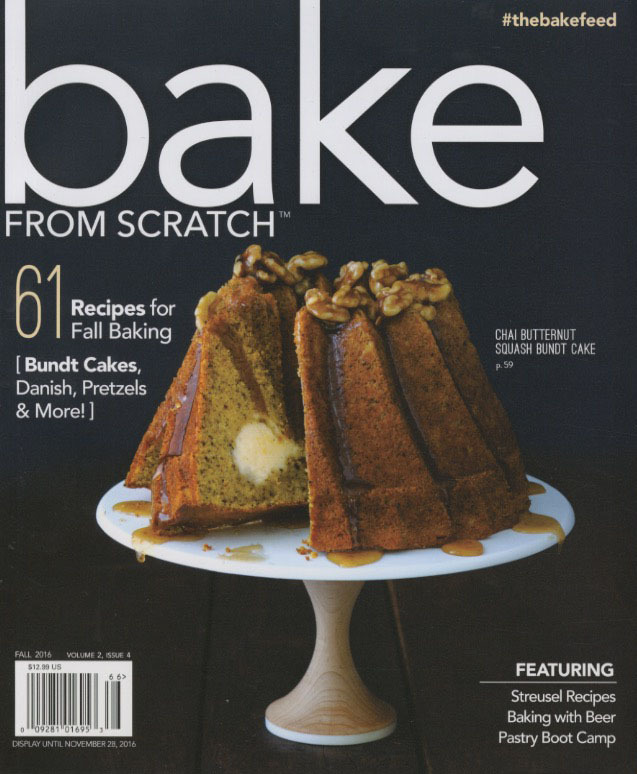 Bake from Scratch is a magazine that is designed, polished and fulfilled around its content. In other words, the magazine exists because of the architecture of the topics within its pages. And I use architecture as a description because that is what marketing content is all about; the structure of your design, images, typography and storytelling. Without each of these building blocks, your ads (if your magazine has them) will mean nothing. You can’t sell ads without content that is worth buying. Think about that statement. Bake from Scratch is the superlative example of marketing content. It is exquisitely done and promotes the entire book, rather than bolstering any other ideal. Now, let’s look within the pages of Sift. This publication is a vehicle for all things King Arthur Flour. The magazine is not only published by the flour company; it’s designed to promote everything they hold near and dear; primarily their company. It is a superb example of content marketing. There is nothing wrong at all with using content to market yourself or other advertisers, but let’s be clear on the difference between that mission and the mission of marketing your content to sell your magazine. And that’s where the fine line is drawn between the two principals. Publishers today engage in both marketing content and content marketing. And that is fine, but defining the two as interchangeable won’t wash anymore, even though I know this is a new era of relationship between church and state. And whether we are marketing content or content marketing, how can we make sure the content for the product is the best content ever? It is all about quality vs. quantity. And, as with everything in life, you can cheat someone once, but chances are it will be tough to pull the same trick on the same person twice. In content marketing, we know the audience and the audience knows the brand. The purpose of content marketing, simply stated, is to promote the brand and the experience that exists between the brand and its audience. Wearing a Nike t-shirt is unlike wearing a t-shirt. For the person who wears a Nike, he or she is making a statement, that this is not any t-shirt, but a good t-shirt. That reminds of the story I heard about the guy who went to Cuba. He saw a person selling Granny Smith apples on a cart with a Nike swoosh on top of the cart. He asked the seller do you know what that symbol is? The seller answered, “Yes of course, it is Nike.” But of course the guy said, Nike sells shoes. “No sir,” the seller said, “Nike sells good shoes, and those are Nike apples, good apples.” It is all about the experience. The relationship that exists between the audience and the brand thus becomes the end result for content marketing. It is a relationship that already exists. It is only fair to call content marketing a celebration of the brand and its relationship with the audience. It can be a birthday, an anniversary or to simply say I am thinking of you. In marketing content our relationship with the audience is like trying to go on a first date. We have an idea grounded in content, but are searching for that special audience. Our audience does not know who we are yet, but we are attempting to be recognized. It will take more than one date, or for that matter, more than one issue to get to know us. Unlike content marketing, the relationship in marketing content between audience and product (magazine, website, etc.) does not exist in the beginning. Those who are in the business of marketing content are also in the business of relationship making. It may start with a date and end up with a long lasting relationship for years to come, or it may be a one-night stand (think book-a-zines, special tribute issues) or even a love affair (think bridal or baby magazines). Recently I published an anniversary commemoration blog for several magazines that had proven their “stuff” over the years. No surprise in my wonderful world of print there are more that need to be recognized. Was there ever any doubt? So it is with the greatest of pleasure I salute the following titles on their anniversary milestones…may you celebrate many, many more! 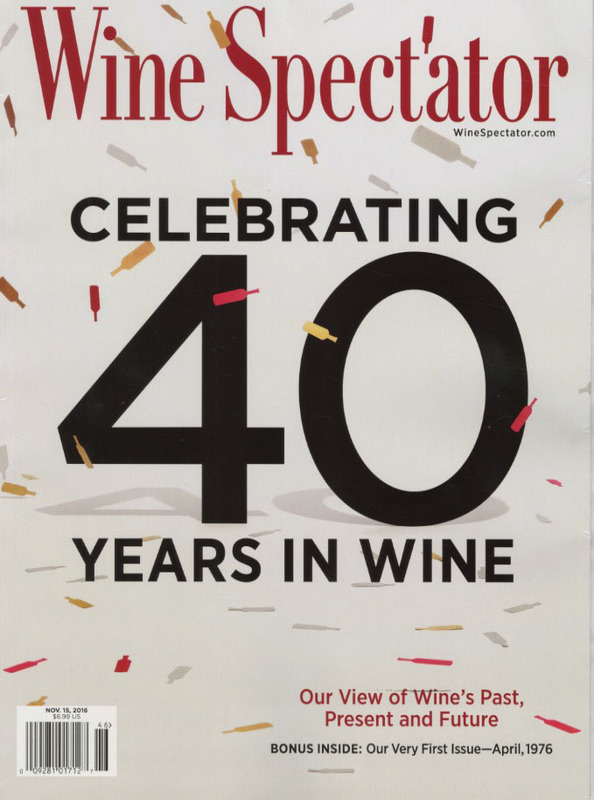 Among those celebrating this week are Wine Spectator that launched in 1976 with an initial investment of $40,000. A bonus reprint of that first issue is included inside the 40th anniversary. The magazine today has an audited circulation of 391,000 and a readership of 3.2 million. 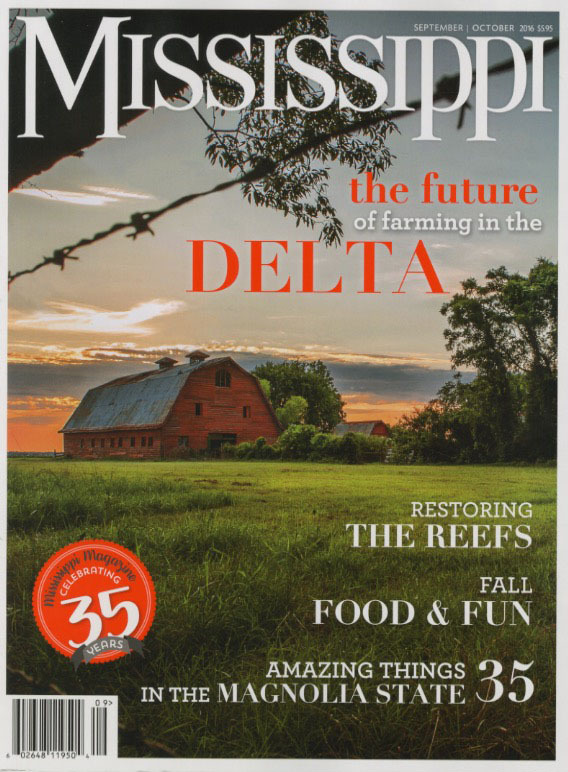 Three magazines are celebrating 40 years of publishing, Horse Illustrated, Owl, and Wine Spectator; celebrating 35 years is Mississippi magazine and 10 years is Sheen magazine. Congratulations to one and all. Ad Sales, Consulting & The Business Side Of The Magazine Industry In A Very Honest & Practical Way – The Mr. Magazine™ Interview With James G. Elliott, President, The James G. Elliott Company. 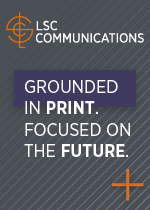 The James G. Elliott Company, which began as a publishers’ rep some 30 years ago, has evolved into the nation’s largest national outsourced media ad sales company and full-service media solutions consultancy for print and digital publishers and organizations. Its president, James G. Elliott (Jim) and I have been friends and professional associates for years. So, when it came to taking the pulse of the buyers, sellers and marketing community in general, I knew Jim was my best resource. For more than 30 years, he has worked on the business side of the magazine industry, offering solutions and publishing services to many, many in the media industry, across the spectrum, from B to B to consumer magazines. If it’s happening in advertising and marketing, you can bet Jim knows about it. So, sit back and relax and enjoy the Mr. Magazine™ interview with James G. Elliott as we discuss the complex, but fascinating world that is the business side of magazines. On what he is seeing from the advertising/marketing aspect of magazines and magazine media: From the advertiser and agency perspective you’re seeing the desire to find the ultimate answer to turning around the advertising decline that they’re experiencing at the same rate or bigger than we are. And that’s creating the search for other new and exciting things. Virtual reality is an example that I think the industry will spend a great deal of time looking at in the next couple of years. From the standpoint of media, particularly of the magazine business, I don’t think the magazine business is driving the show anymore. I think they’re kind of following, attempting to create shiny objects at the same time that lead the industry, but often are following on deaf ears, because they’re not the leaders in this process any longer. 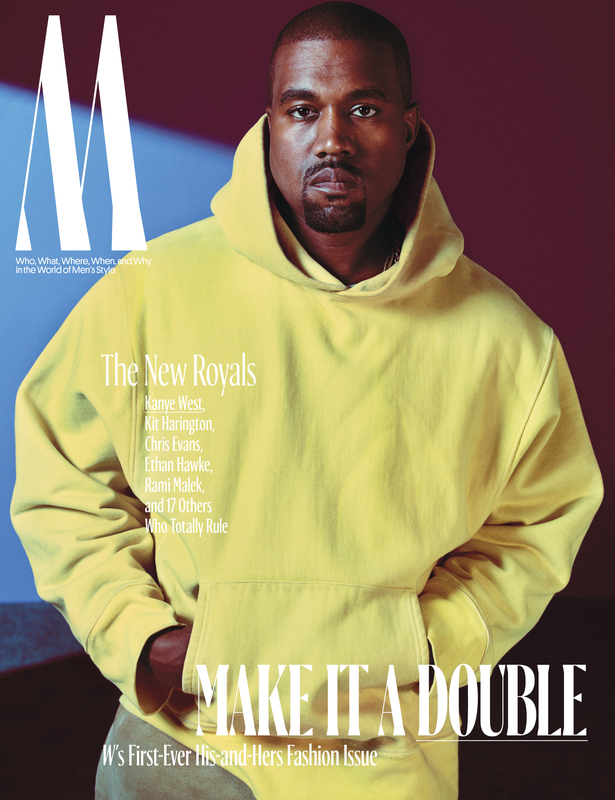 On why he says that when the magazine industry still brings in billions of dollars: I think the magazine industry isn’t focusing, some are, but many are not focusing on what they know how to do best, which is the creation, curation and development of magazines in the best way possible. On whether he believes that the advertising-driven business model that he created his own company around 30 years ago is dead or no longer viable: I don’t think so. I think that this business model is declining a bit at the moment, because I think the advertising market as a whole is declining at the moment, regardless of the press reports. But advertising and sponsorship will always have a place in the magazine industry and the extended magazine brand industry. So, no, I don’t see that that’s going away. On whether he thinks the business model where advertising was 90% of the revenue of a publication is coming to an end: This is primarily a consumer-driven question and I think that you, Dr. Husni, has said for a very long time and I’ve always bought into it; it’s not magazines that are broken, it’s the magazine industry. This reliance on advertising by having contrived circulation was always flawed. And I think it’s Warren Buffet who said, “Only when the tide goes out do you discover who’s been swimming naked.” And I think that happened in the recession. You had magazines that were two million or three million circ that were really only one million or 750,000 circ, or whatever that circulation really was. So, I think that model was always flawed and it was like the real estate boom; at some point it was going to explode. On the B to B market and it’s 100% advertising-driven model: With B to B model, I think that they needed to expand their products to enhance their magazine business, such as data basing; using better metrics to help advertisers drive sales, things like that. And charge for those metrics. In the B to B market there was an explosion of B to B publications in single sectors, way too many. There are many sectors, special interest sectors that had five to ten magazines in really what should have been a two or three brand field. On how his own business is doing with all of the changes going on: My business is made up of two things. It’s made up of representing magazine brands, and secondly, it’s helping companies that may not want our selling services on a consulting basis. And both businesses right now are doing well. On how he adapted to these changes and what he’s doing differently in his own business than he did ten years ago: We’ve adapted to the changes in lots of ways. One of the things that we did was to recognize that you had to actually train people; you had to teach them about the new products that were coming out. And we’ve done a fair amount of that, both internally and by bringing outside folks in to help us do that, and that was the first thing we did to adapt. On the biggest stumbling block that’s facing his business: I think the biggest problem in my business is my potential clients understanding the buying process and actually what the environment is now, and how one must adapt to that new selling environment. Unfortunately, a lot of people who fund media companies today. Either they didn’t come out of the ad sales business, or if they came out of the ad sales business they came out of it in a different era. They came out of it when sellers were more important to the process. And the reason they were more important to the process was that they were conduits of data to the advertiser and the advertising agency. On whether he believes the magazine industry is too slow to react to things: I’m a former advertising agency person, and if you ask me the difference between the two industries, I can actually explain best by a story. And it actually involves you, Samir. It was a story that I have never forgotten. It was about three or four years ago, you and I went to a conference and we sat together, as we often do. In that conference, it was an industry conference, not a magazine conference; there was a conversation that came up out of the second screen I think, television folks. When we were sitting and listening to them, they were embracing the television industry and talking about how they augmented that, and how that was another business that could be equally profitable, but they needed both. And then we saw our own industry stand up and use words like “when the magazine industry goes out of business, we’re moving towards that with our digital products.” I will never forget that. And I think that that is crazy. On what he would bring back from the “good old days” if he could: I’d like to see more integrated research back into the buying process and more time spent on analysis of what really is being purchased for brands. And I don’t think it’s happening; I don’t think it’s as good as it was back a number of years ago. On the most pleasant moment in his career: Without going into specifics, when I see people who have worked at the Elliott Company, and there are hundreds of them, that have gone on to very significant careers; that makes me really, really proud. I think that’s the best thing; that I was able to help a lot of people move on, or in many cases, stay. We have a history of people staying with us for long periods of time. On anything else he’d like to add: If you asked me what major industry concern I have from a tactical standpoint and from a selling standpoint, I would tell you that it was the disconnect, in many ways, between buyers and sellers. I think that there is really a gap between the ways that the two process what they’re supposed to do with their jobs. The study that we just completed points out a lot of those things. On what someone would find him doing if they showed up unexpectedly at his home one evening: Unfortunately, what I would probably be doing during the week after dinner is doing some more work. I think the requirements today on people like me are a lot harder than they used to be, there’s less time, which means that you have to end up doing more work. But for relaxation, I’m a sailor; I like to sail. I like to get out on the water on my boat. On what keeps him up at night: What keeps me up at night is this industry moving to the next shiny object and forgetting things like where the money is, which is in the advertising and sponsorship business. I think the industry is too quick to grab onto the newest thing, thinking that that’s going to somehow solve its problems. And now the lightly edited transcript of the Mr. Magazine™ interview with James G. Elliott, president, The James G. Elliott Company. Samir Husni: With the current magazine and media climate, suddenly no one is just talking change; everyone is saying that “change” has left the station. What are you seeing from the advertising/marketing aspect of the industry that either gives you hope or makes you want to close shop and head home? Jim Elliott: From the advertiser and agency perspective you’re seeing the desire to find the ultimate answer to turning around the advertising decline that they’re experiencing at the same rate or bigger than we are. And that’s creating the search for other new and exciting things. Virtual reality is an example that I think the industry will spend a great deal of time looking at in the next couple of years. But as we know from the numbers of people that come in here with new and shiny objects, there is no shortage of them; there will be plenty of new ones in the next couple of years coming forward, all of which will attempt to have an advertising or sponsorship component to it. From the standpoint of media, particularly of the magazine business, I don’t think the magazine business is driving the show anymore. I think they’re kind of following, attempting to create shiny objects at the same time that lead the industry, but often are following on deaf ears, because they’re not the leaders in this process any longer. Samir Husni: Why do you say that when the magazine industry still brings in billions of dollars every year? Jim Elliott: I think the magazine industry isn’t focusing, some are, but many are not focusing on what they know how to do best, which is the creation, curation and development of magazines in the best way possible. So many magazine companies divert energies into areas that are not going to pay out for them over time, as opposed to really saying: we’re in the magazine industry, and yes we should use online tools and online extensions to enhance our magazine brand, but those extensions aren’t going to, in the long-term, be the replacement for the magazine or magazines that they own. 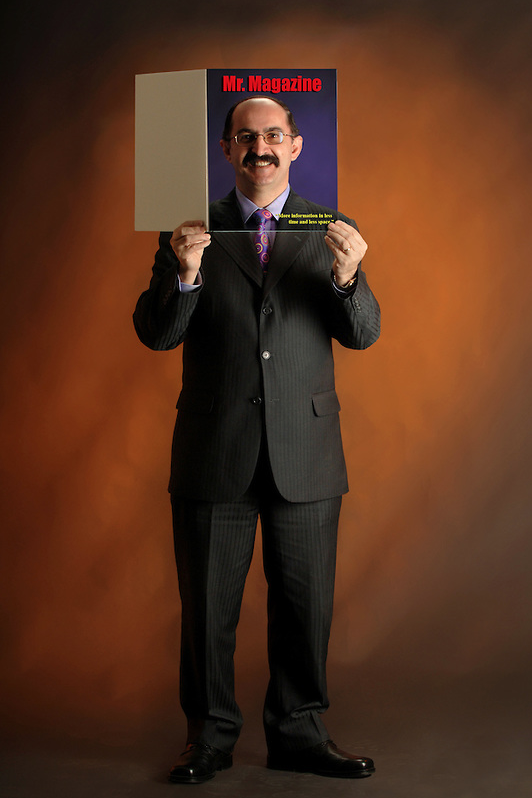 Samir Husni: In one form or another, you’ve spent your entire career on the business side of the magazine industry. Are you telling me that the advertising-driven business model; the one that you actually created your own business around 30 years ago to work and sell with the business side of magazines; are you telling me that business model is dead or no longer viable? Jim Elliott: I don’t think so. I think that this business model is declining a bit at the moment, because I think the advertising market as a whole is declining at the moment, regardless of the press reports. But advertising and sponsorship will always have a place in the magazine industry and the extended magazine brand industry. So, no, I don’t see that that’s going away. Samir Husni: But do you think the business model where advertising was, in some cases, reaching 90% of the revenue of a publication is coming to an end? Jim Elliott: No, I can answer your question, but first let me say, I have represented many, many products. I’ve been in B to B, in fact, we have a large B to B player now; I’ve been in consumer, we have many consumer titles here; and I’ve been in the association world. And I’ve been on the web-only world. So, I have a very broad perspective of different media types, as opposed to just being consumer magazines or just trade magazines. And I think that happened in the recession. You had magazines that were two million or three million circ that were really only one million or 750,000 circ, or whatever that circulation really was. So, I think that model was always flawed and it was like the real estate boom; at some point it was going to explode. Real estate values don’t continue to go up. I think the same thing happened here with the magazine industry. There’s a balance between circulation revenue, real audience, which is based on real audience, and the advertising business, and how that relates into the consumer magazine world. Samir Husni: You answered my question only from the consumer side; B to B is a 100% advertising-driven business model. Jim Elliott: That’s true. With B to B model, I think that they needed to expand their products to enhance their magazine business, such as data basing; using better metrics to help advertisers drive sales, things like that. And charge for those metrics. In the B to B market there was an explosion of B to B publications in single sectors, way too many. There are many sectors, special interest sectors that had five to ten magazines in really what should have been a two or three brand field. I think the better brands were creating better content for their readers, and if you were to do an analysis of just the advertising revenue in the top one or two books in various B to B fields, you’d find that their performance was far better than an entire category’s performance. Samir Husni: How is your business? With all of these changes and everything else; have you been able to ride the wave? Are you swimming against the tide or with it? Jim Elliott: My business is made up of two things. It’s made up of representing magazine brands, and secondly, it’s helping companies that may not want our selling services on a consulting basis. And both businesses right now are doing well. The second business, the consulting business, is doing particularly well from the standpoint of presidents of companies wanting to get a better picture outside of their organization about what’s really going on in the revenue side. On the sales side, we haven’t experienced the kind of losses in our business that many companies have simply because we have a number of very healthy association magazines that really had a connection with their audiences. And that really had assets. So, when times became rougher they didn’t lose their advertisers at anywhere near the rate that some of the consumer titles did. We just completed our third study of media buyers and it’s now out. But more importantly, we’ve taken the same study basically and we’ve gone to a random sample of sellers asking roughly the same questions, and it’s pretty interesting stuff. Samir Husni: How did you adapt to the changes in your own business and what are you doing differently today than you did ten years ago? Jim Elliott: We’ve adapted to the changes in lots of ways. One of the things that we did was to recognize that you had to actually train people; you had to teach them about the new products that were coming out. And we’ve done a fair amount of that, both internally and by bringing outside folks in to help us do that, and that was the first thing we did to adapt. 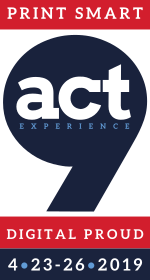 The second thing was to automate our sales processes to become contemporary with the CRM (customer relationship management) systems. The third was to get a better sense of really what we were competing with when it came to the various brands that we were representing, and not from a magazine centric standpoint, but from a total media perspective. And there have been a lot of other things that we’ve done to adapt, but those are the fundamental, most important things we’ve done. We’ve also recognized that there’s a balance between relationship selling and transactional selling. And the way that the online business is being sold is OK for some, but not OK for all. One of the things that I believe very strongly is when you go in to sell somebody you have to figure out the way that they want to be sold, not the way that you want to sell them. And we really stress that inside our company, to really recognize what the buyer is looking for. How do they actually want you to sell them? Samir Husni: It’s my understanding that you’re expanding the company; you’ve incorporated Ads & Ideas. Can you talk a little about that? Jim Elliott: That was really just a mechanism for the consulting part of this business, which is growing, so that we could run that separately, either now or sometime in the future. It’s recognition that that’s a growing part of my business. Samir Husni: What do you think is the biggest stumbling block that’s facing you, your company and the entire business as a whole, and how do you think you can get beyond that stumbling block? 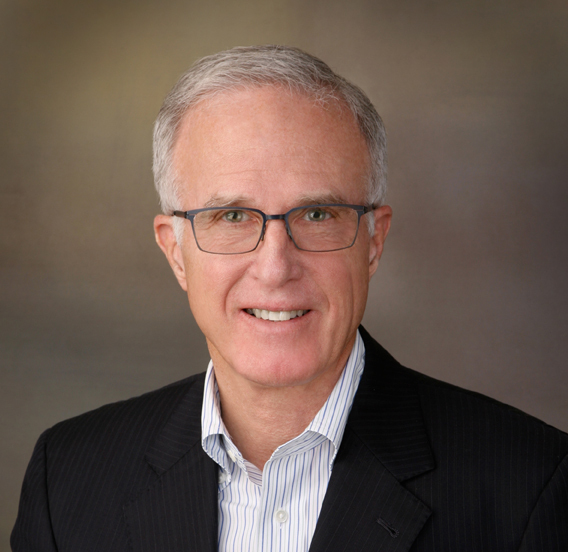 Jim Elliott: I think the biggest problem in my business is my potential clients understanding the buying process and actually what the environment is now, and how one must adapt to that new selling environment. Unfortunately, a lot of people who fund media companies today. Either they didn’t come out of the ad sales business, or if they came out of the ad sales business they came out of it in a different era. They came out of it when sellers were more important to the process. And the reason they were more important to the process was that they were conduits of data to the advertiser and the advertising agency. Today that reason for a seller is much less important. Today the seller needs to be a brand advocate. They need to be able to articulate a brand in its many facets, which include all of its electronic products; its magazines; and a very short window of a very short period of time to an advertiser or advertising agency. The reason for that short period of time is that the responsibility of buyers has become much broader; they’re looking at a whole lot of more things than they did 20 or 30 years ago. So they have much less time by which to do it, and the necessity to communicate effectively, to get attention rapidly, not in long 45-minute meetings because it’s rare that you’ll get those kinds of meetings. Samir Husni: Do you think the magazine industry is too slow to react? When television came into being in the early ‘60s and when TV became the big mass media, magazines were blamed that they were too slow to react. Jim Elliott: I’m a former advertising agency person, and if you ask me the difference between the two industries, I can actually explain best by a story. And it actually involves you, Samir. It was a story that I have never forgotten. It was about three or four years ago, you and I went to a conference and we sat together, as we often do. In that conference, it was an industry conference, not a magazine conference; there was a conversation that came up out of the second screen I think, television folks. When we were sitting and listening to them, they were embracing the television industry and talking about how they augmented that, and how that was another business that could be equally profitable, but they needed both. And then we saw our own industry stand up and use words like “when the magazine industry goes out of business, we’re moving towards that with our digital products.” I will never forget that. And I think that that is crazy. This is the way I feel; you are one of the few people who has always said, “Wait a minute, don’t do that. What are you doing?” And I think you’re going to be proven right again. We’re now seeing the slowdown of that kind of talk and simply accepting that magazines are a horizontal medium for some; for some they can be a vertical offshoot, but they have a place in the media world. I think some of the reasons for that is that the broadcast industry has always been more inclusive of outsiders and outside thought. They’ve always used lots of independents for lots of things; they don’t have this industry-only attitude, in my judgement. And so they were probably in a better position to adapt to new things. Jim Elliott: That’s a really good question. I think that in the old days there was much better research about magazines, television, and the integration of those things than there is today. The research is not as deep and there’s not as much looking by individual media planners into the magazines they’re buying, online that they’re buying and things like that. When I was in the agency business, which was a very long time ago, as a media planner, I had two assistant media planners per one million dollars; two. Today, based on the Kantar-Elliott study, the average media planner has the responsibility in excess of $30 million and they work on five brands. So, the climate is very different. And to answer your question, I’d like to see more integrated research back into the buying process and more time spent on analysis of what really is being purchased for brands. And I don’t think it’s happening; I don’t think it’s as good as it was back a number of years ago. Jim Elliott: Yes, there is actually. Without going into specifics, when I see people who have worked at the Elliott Company, and there are hundreds of them, that have gone on to very significant careers; that makes me really, really proud. I think that’s the best thing; that I was able to help a lot of people move on, or in many cases, stay. We have a history of people staying with us for long periods of time. That’s the thing that I’m going to remember best when I write my book. Jim Elliott: If you asked me what major industry concern I have from a tactical standpoint and from a selling standpoint, I would tell you that it was the disconnect, in many ways, between buyers and sellers. I think that there is really a gap between the ways that the two process what they’re supposed to do with their jobs. The study that we just completed points out a lot of those things. I’ll give you one tactical example; the average seller believes that they have half the amount of time to sell out an RFP than the average planner believes that they’re giving that seller, which is from a practical standpoint a big difference. When you take a look at the importance of personal meetings, you see that a way that personal meetings make a difference really is at the client level, more so and at a higher percent, according to the sellers. There is a lot of data that talks about this within that study. The study has just been released and we’ll be talking about it more. If I had a magic wand I would make it a requirement that a seller work in an ad agency for a certain amount of time to really learn what it is that those folks are looking for. Samir Husni: If I showed up at your home one evening unexpectedly, what would I find you doing; reading a magazine; reading you iPad; watching television; or something else? Jim Elliott: Unfortunately, what I would probably be doing during the week after dinner is doing some more work. I think the requirements today on people like me are a lot harder than they used to be, there’s less time, which means that you have to end up doing more work. But for relaxation, I’m a sailor; I like to sail. I like to get out on the water on my boat. That’s what I really like to do, besides the fact that I have two freshmen that I need to get through the next four years of college. That’s my other special interest here. Jim Elliott: What keeps me up at night is this industry moving to the next shiny object and forgetting things like where the money is, which is in the advertising and sponsorship business. I think the industry is too quick to grab onto the newest thing, thinking that that’s going to somehow solve its problems. 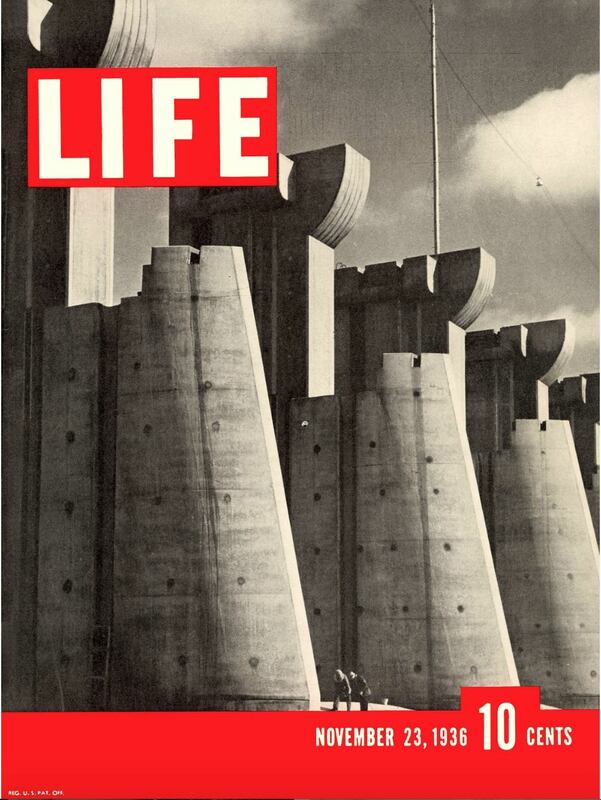 The Eternal Curation Role of Magazines… Yesterday, Today, And Tomorrow. 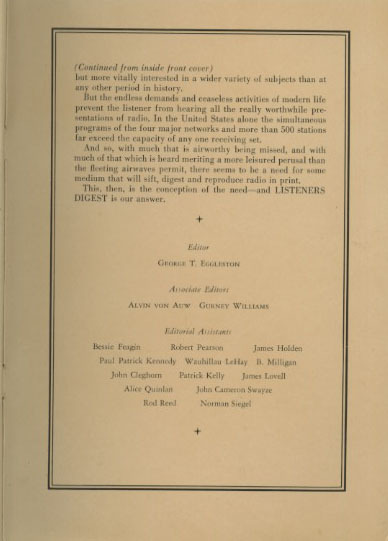 The following is the letter from the editors introducing the first issue of Listeners Digest published February 1939. The monthly noted “the endless demands and ceaseless activities of modern life prevent the listener from hearing all the really worthwhile presentations of radio.” As you read the complete introduction below, feel free to replace the word radio with the internet or social media or any other media that comes to mind… the end result will be the same. 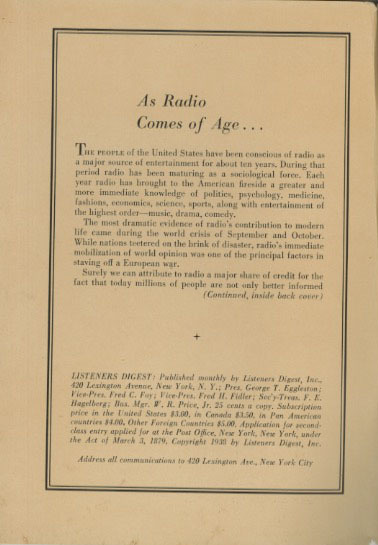 The people of the United States have been conscious of radio as a major source of entertainment for about ten years. During that period radio has been maturing as a sociological force. Each year radio has brought to the American fireside a greater and more immediate knowledge of politics, psychology, medicine fashions, economics, science, sports, along with entertainment of the highest order – music, drama, comedy. The most dramatic evidence of radio’s contribution to modern life came during the world crisis of September and October. 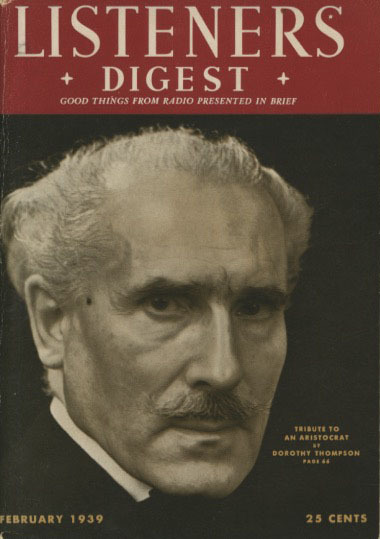 While nations teetered on the brink of disaster, radio’s immediate mobilization of world opinion was one of the principal factors in staving off a European war. Surely we can attribute to radio a major share of credit for the fact that today millions of people are not only better informed, but more vitally interested in a wider variety of subjects than at any other period in history. But the endless demands and ceaseless activities of modern life prevent the listener from hearing all the really worthwhile presentations of radio. In the United States alone the simultaneous programs of the four major networks and more than 500 stations far exceed the capacity of any one receiving set. And so, with much that is airworthy being missed, and with much of that which is heard meriting a more leisured perusal than the fleeting airwaves permit, there seems to be a need for some medium that will sift, digest and reproduce radio in print. This, then, is the conception of the need – and Listeners Digest is our answer. “We think people are going to want to keep these as sort of a record of the sport. A history of the sport and who were the biggest athletes and what were the best storylines of any given year. That’s why we went high on the price…” Braden Keith, on the high cover price of the magazine. 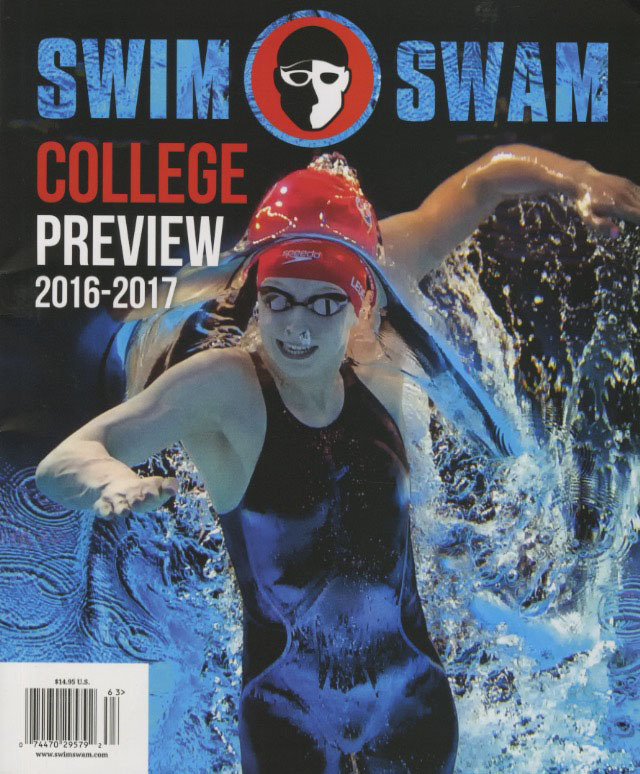 A magazine for those folks who can’t get enough of chlorine and the excitement of the swimmer’s life; SwimSwam grew from a very popular website into a beautifully-done, very high-quality large format magazine. Its paper is thick and lush and its contents filled to capacity with everything about the sport of swimming that could possibly interest an enthusiast. In fact, Mr. Magazine™ was so impressed with the new launch that I selected it as one of the 30 Hottest New Launches of the year. Editor in chief Braden Keith and one of his partners, Olympic Gold Medalist Swimmer, Mel Stewart and his wife Tiffany, came together with two other very interested parties to found this amazing read. And I for one am awfully glad they did. I spoke with Braden recently and we talked about the ins and outs of bringing a magazine such as this one to life, especially after four years on the web. Braden said it had been a learning process for him and his partners, and it continued to teach them every day more and more about the magazine industry. He reflected on a few of the challenges they had faced and those pleasant moments that made it all worthwhile. And he talked about the passion they all had about the brand, which convinced them they could contribute something valuable and collectible in the niche market. So, grab your goggles and your love for a day at the pool and join the conversation – the Mr. Magazine™ interview with Braden Keith, editor in chief, SwimSwam magazine. On what made him decided they needed a print component to go along with the website: We launched the website in 2012. I’d had a previous website and Mel Stewart, one of my partners, who is an Olympic gold medalist in swimming, was looking to start something and we saw that our visions aligned. And the baby of that came out to be SwimSwam.com and we were like most people, we thought print was dead. Why would you print a magazine when you could have real time stuff up on the web forever. Fast forward four years later and all of the magazines were still around, and what we were hearing from all of our advertisers was that our competitors were getting a certain percentage of their money because they had a print magazine and people liked it. And so we decided that we’d give it a try and we thought that we could do it better than what was already in the market. On the reaction to the print magazine from the swimming community: Some people were definitely skeptical and we had a lot who said the exact thing we’d thought earlier: why print? But I think that once people got the magazine and they held it, this is something that’s been very important to us; we wanted a magazine with thick pages and a thick cover that felt almost like a book more than a magazine. And people just loved it. On whether the rather high cover price is a reflection of their belief that the magazine is more like a collector’s edition: I think that’s exactly what it is. We think people are going to want to keep these as sort of a record of the sport. A history of the sport and who were the biggest athletes and what were the best storylines of any given year. That’s why we went high on the price. On any challenges he had to face while creating the print magazine: Definitely there have been challenges. When you’re producing content for a magazine, it all has to be good; it all has to be right. The copyediting; you need an extra layer of copyediting. We haven’t struggled with what to produce, but the actual production process has been a whole different thing. On the most pleasant moment for him on this magazine journey: We set up a table at the Olympic trials in June this year in Omaha in a local restaurant near the pool and had magazines there for sale. We had a lot of people come up and buy the magazine there, but we had more people who were already subscribers to come up and tell us what a great magazine it was and how much they loved it. 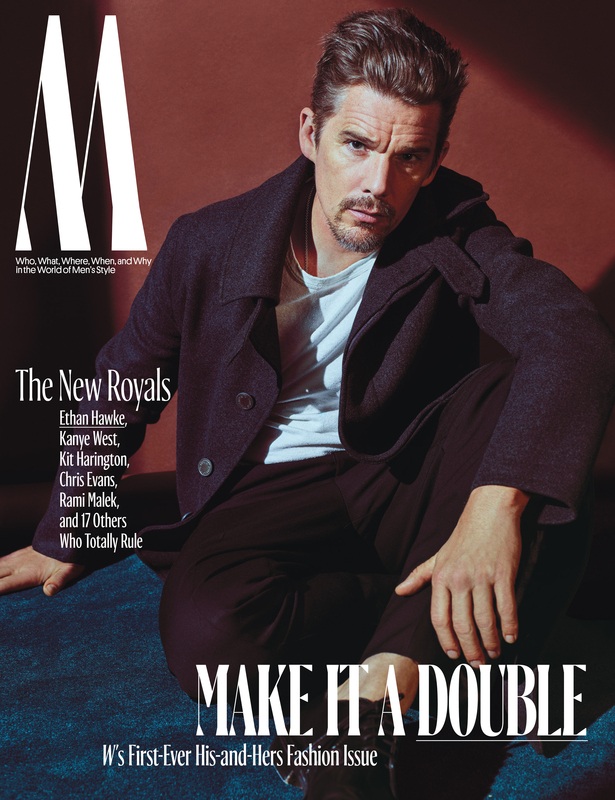 On his future expectations for the magazine: We’d like to go to more than four issues per year, but we have to ramp up our subscribers so that we can afford it. That’s really something that we’d like to do. But we’re always going to be nervous. You hear what people say about magazines. For example, one of my favorite magazines, Mental Floss, just announced that they’re no longer going to be printing their magazine. On his own personal background: I was a high school swimmer and played water polo in college. I coached swimming throughout college as a summer job, because it beat lifeguarding or checking out groceries at a grocery store. 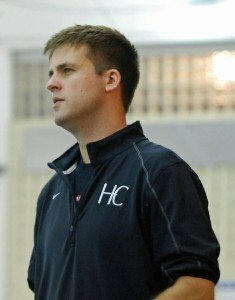 Then I kept getting sucked back into coaching and now I coach high school swimming, but that’s not my primary job; I work for a pipeline company in downtown Houston doing business analysis stuff. On how he met and got into a partnership with Olympic gold medalist swimmer, Mel Stewart: I was doing my other website and there is a guy named Garrett McCaffrey, and he’s also a partner in the website, but he’s no longer a participating partner. He was sort of the godfather of swimming on the Internet, and had a site called Floswimming back in the day, and he had been aware of what else I was doing on the Internet on my other site. He and Mel had hooked up to start this new site and they wanted to do everything video-based. And Garrett told Mel that he needed to check out my site. Mel is an Olympic gold medalist and gets an automatic credibility and I was not a notable swimmer. But Garret told him that I had built an audience out of basically nothing and that they needed to talk to me about working with them. On what someone would find him doing if they showed up unexpectedly at his home one evening: I will be on my computer and I’ll probably have the TV on sports, and I will be in front of my computer either writing or just compulsively refreshing social media. On what keeps him up at night: Conflict, just interpersonal conflict. And in this industry there is always conflict. Somebody doesn’t like what you wrote, and I’ll just go over it and over it again in my head and that’s the toughest thing I deal with and what keeps me up at night. And now the lightly edited transcript of the Mr. Magazine™ interview with Braden Keith, editor in chief, SwimSwam magazine. Samir Husni: Congratulations on being named one of the “30 Hottest New Launches” of the year; a job well done. I know SwimSwam started as a website and then you launched the magazine; can you take me through the history of the launch? 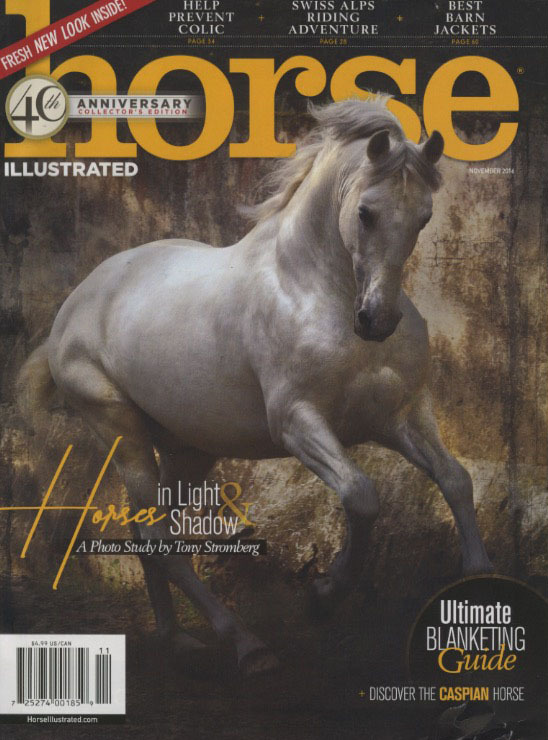 What made you decide that you needed a print publication to go along with the website? Braden Keith: We launched the website in 2012. I’d had a previous website and Mel Stewart, one of my partners, who is an Olympic gold medalist in swimming, was looking to start something and we saw that our visions aligned. And the baby of that came out to be SwimSwam.com and we were like most people, we thought print was dead. Why would you print a magazine when you could have real time stuff up on the web forever. And all of our competitors had magazines; we sort of didn’t get it. We thought the magazines would go away before we were ready to launch one. Fast forward four years later and all of the magazines were still around, and what we were hearing from all of our advertisers was that our competitors were getting a certain percentage of their money because they had a print magazine and people liked it. And so we decided that we’d give it a try and we thought that we could do it better than what was already in the market. We thought that we could make it look and feel better; that we could capture a way to do a magazine that wasn’t a news-based magazine. We didn’t want to put out a magazine about things that had already happened and was old news that people had already read about on the Internet. So, we just gave it a shot and we’re learning as we go, but as always we’re focusing on the content, content, content and trying to make it look good. Samir Husni: What has been the reaction from the swimming community? Once you came up with that first issue, and after you’d been online for almost four years, what were people saying about the print edition? Braden Keith: Some people were definitely skeptical and we had a lot who said the exact thing we’d thought earlier: why print? But I think that once people got the magazine and they held it, this is something that’s been very important to us; we wanted a magazine with thick pages and a thick cover that felt almost like a book more than a magazine. And people just loved it. We were 50/50 when we launched and we weren’t sure what the reaction would be, but people have really liked just the feel of it and the images have been a big piece of it, there are big, powerful images. Ad I think that’s worked really well for us. Samir Husni: It’s not a cheap magazine, neither the subscription nor the single copy price; it’s almost $15 per issue. Is the cover price a reflection of the content or the belief that you feel like every issue of this magazine is more like a coffee table book or a collector’s edition? Braden Keith: I think that’s exactly what it is. We think people are going to want to keep these as sort of a record of the sport. A history of the sport and who were the biggest athletes and what were the best storylines of any given year. That’s why we went high on the price. Obviously, the subscription is a pretty good discount from the cover price. I’m sure you’re aware that magazines on newsstands are not a very good economic model unless you’re a big producer. Samir Husni: And were there any challenges that you had to overcome while doing it? Braden Keith: Definitely there have been challenges. When you’re producing content for a magazine, it all has to be good; it all has to be right. The copyediting; you need an extra layer of copyediting. We haven’t struggled with what to produce, but the actual production process has been a whole different thing. Dealing with deadlines; we have deadlines on the web, but it’s more or less you get it done as quickly as you can, but when it comes to a magazine there’s a print deadline and things have to all be copyedited and there’s an entire process. On the web, you write something, throw a picture on it and you copyedit it real quick and you put it up. With magazines, it’s a bit more complex. Between the deadlines and the design process that you have to go through, it’s very different. Information in the articles can change between when it was written and when it actually goes to print. Those are some of the things that have caused us stress, but at the end of the day when we looked around at the market, there are two other big swimming magazines in the U.S., and we just thought we could do it better and were lucky enough to have found a good printing partner who happens to be a swim geek, as we like to call people who are big in the swimming world. And so he’s been really instrumental in helping us learn about the magazine industry and how to do this. I wouldn’t say that it’s been as hard as we thought it would be, but then again we’re not perfect yet either. I think we’re still learning where some of these challenges are coming in. A big challenge that we got hit with, and I’m sure a lot of people did; our subscriber’s sign up for auto-renew and everybody received a new credit card with a chip in it this year and we lost probably half of our subscribers in a weekend from getting new credit cards. So, we’re learning about a lot of these things as we go, and I think we’re not far enough in to have learned all of the challenges yet, but we’ve had good people help us out. Samir Husni: What has been the most pleasant moment for you throughout this magazine journey? Braden Keith: We set up a table at the Olympic trials in June this year in Omaha in a local restaurant near the pool and had magazines there for sale. We had a lot of people come up and buy the magazine there, but we had more people who were already subscribers to come up and tell us what a great magazine it was and how much they loved it. And it felt really cool to have that fact-to-face interaction with our audience. Once again on the web, you don’t get a lot of interpersonal interactions with your audience, but it was a lot of fun to meet people face-to-face. Samir Husni: If you and I were talking one year from now, what would you hope to tell me about the magazine? What are your future expectations? Braden Keith: We’d like to go to more than four issues per year, but we have to ramp up our subscribers so that we can afford it. That’s really something that we’d like to do. But we’re always going to be nervous. You hear what people say about magazines. For example, one of my favorite magazines, Mental Floss, just announced that they’re no longer going to be printing their magazine. And I think it’s the greatest magazine that’s ever been made and if they can’t make it; it just makes me nervous. So, I hope that we’ll still be doing it in a year. I hope that people keep subscribing and the economics of it still makes sense, but I’ll still be very nervous about it. Samir Husni: What’s your background? Are you a journalist or a swimmer? Or a swimmer turned journalist? What’s the story of Braden Keith? Braden Keith: I was a high school swimmer and played water polo in college. I coached swimming throughout college as a summer job, because it beat lifeguarding or checking out groceries at a grocery store. Then I kept getting sucked back into coaching and now I coach high school swimming, but that’s not my primary job; I work for a pipeline company in downtown Houston doing business analysis stuff. I worked for the Texas A&M student paper for about three months when I was in college, but that’s the extent of my journalism training. I didn’t like it. They didn’t write things interestingly; they were really focused on this AP kind of, no analysis, no adjectives, style of writing and it just bored me and I hated it. And that was always in the back of my mind, but the reason I go into this; I actually started more on the programming side and that drew me into it. I needed some tools for my coaching. I needed to build tools for calculating relays and things like that. Then people started using them and I wondered what I could do to get more people reading them, and make a little bit of money off of it at the same time. So, I just started writing stuff and it took off. I don’t really know what the catch was or why it worked, but I just happened to back into it accidentally. Samir Husni: How did you meet Mel Stewart and get into this partnership with him? Braden Keith: I was doing my other website and there is a guy named Garrett McCaffrey, and he’s also a partner in the website, but he’s no longer a participating partner. He was sort of the godfather of swimming on the Internet, and had a site called Floswimming back in the day, and he had been aware of what else I was doing on the Internet on my other site. He and Mel had hooked up to start this new site and they wanted to do everything video-based. And Garrett told Mel that he needed to check out my site. Mel is an Olympic gold medalist and gets an automatic credibility and I was not a notable swimmer. But Garret told him that I had built an audience out of basically nothing and that they needed to talk to me about working with them. Mel was doing a clinic and he called me up and invited me out to dinner. We talked about it and discussed the money and advertisers he already had signed up and I told him that was more money than I had made in two years doing it, so consider me in. And away we went. Samir Husni: On the current issue you have four co-founders; are you all from Texas? Braden Keith: No, three of us happen to live here, but none of us are actually from here. We have one Canadian and the non-participating co-founder lives in Phoenix. We’re spread out all over the place. Samir Husni: But the offices are in Austin? Braden Keith: Yes, but it’s Mel and Tiffany Stewart, who are husband and wife that are there. We avoid having any kind of a formal office, which is an intentional decision. But technically our headquarters are in Austin. I’m in Houston. Samir Husni: If I showed up at your home one evening unexpectedly, what would I find you doing; reading a magazine; reading your iPad; watching television; or something else? Braden Keith: I will be on my computer and I’ll probably have the TV on sports, and I will be in front of my computer either writing or just compulsively refreshing social media. Braden Keith: Conflict, just interpersonal conflict. And in this industry there is always conflict. Somebody doesn’t like what you wrote, and I’ll just go over it and over it again in my head and that’s the toughest thing I deal with and what keeps me up at night. 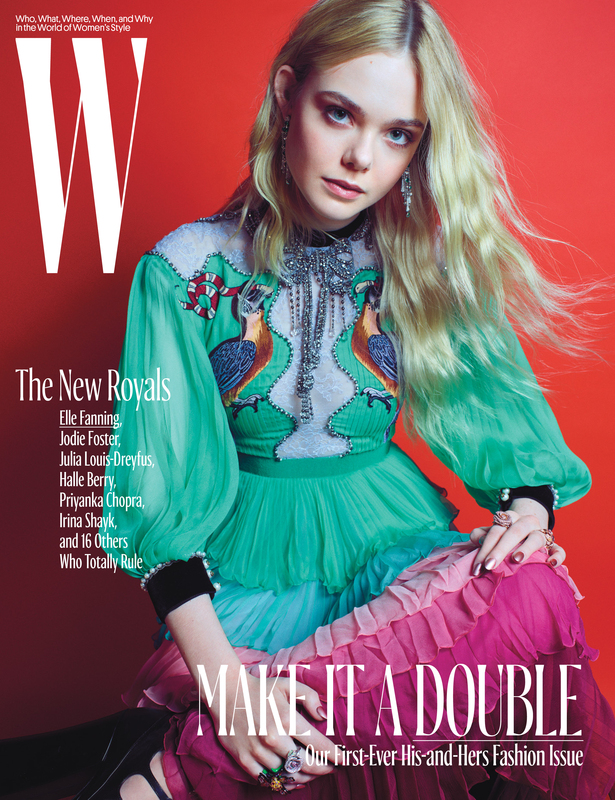 W magazine has started a revolution; a revolution in print, that is. An all-out, amplification campaign aimed at using the power of print to mirror our current society and political issues in beautiful and fashionable ways. From famous artists to eminent creative directors; W has captured the essence of thought-provoking content and images through collaborations with these creative giants of the business and brought it all home between the pages of their beautiful print magazine. But with revolution comes innovation; it’s a must for the tour de force’s success. That being said, their digital platforms are also very important soldiers in this print campaign, and together the entities are definitely a force to be reckoned with. I spoke with the leaders of the revolution Stefano Tonchi, editor and Lucy Kriz, publisher and chief revenue officer of W, recently, and we talked about this amazingly beautiful and charismatic revolution in print. As always, it was a delightful conversation with two people who are devoted to their brand and have a keen and focused eye toward its future. From Kendall Jenner and Gigi Hadid on the cover of the W’s 10th Anniversary November Art issue, where they commissioned artists Ryan Trecartin and Lizzie Fitch, and then watched them transform the supermodels and social media stars into a multimedia artwork which comments on the nature of social media (and visually brings Snapchat’s filters to life), to the October issue which contained the first “his-and-hers” content with its flipped W-to-M feature; the magazine is exploding with print innovation and exceptional creativity. The dynamic excitement can only be duplicated in the voices and thoughts of Stefano and Lucy as they talk about the brand. So, without further ado, the Mr. Magazine™ interview with Stefano Tonchi editor, and Lucy Kriz, publisher and chief revenue officer, W magazine. On W’s 10th Anniversary November Art issue (Stefano Tonchi): As part of our long-term strategy; what we’re doing makes the magazine more collectible and unique and it keeps readers more engaged. So, taking this idea of collaborating with artists, art directors and with great celebrities, and again as part of our history; for our 10th anniversary, which will be our November issue, we worked with a lot of different artists, almost 20 of them. Ryan Trecartin and Lizzie Fitch were commissioned for the cover. The duo has been featured in the Venice Biennale and at museums like MoMA PS1, in New York, and the Museum of Contemporary Art, Los Angeles; and yet, they are keenly in sync with what is happening in the culture at large. On how they are able to afford such print innovations as they’ve recently created in this digital age in which we live (Lucy Kriz): We make very strategic choices on where we’re going to push to make investments. And a big part of this year, certainly, was digital investment. We’ve also made a significant investment to beef up our team; we’ve hired over 16 people for digital this year, and for content. But we’ve also felt very strongly about pushing the print, because it drives so much of the creativity and the access that we have with the talent. On what differentiates W magazine from the rest of the crowd (Stefano Tonchi): There is something about our point of view and I think it comes from the days when it was a broadsheet. Mr. Fairchild, who started the magazine, was obsessed about the lives of the rich and famous. Following that there was a certain kind of voyeuristic approach that I think is still part of the fascination with W today, in print and in digital, because actually that kind of voyeuristic approach; knowing who is who and where they go and what they do, is one of the big engines of social media. On the October issue and the flipped W which became an M (Stefano Tonchi): We always try to see fashion in the context of contemporary culture and what is happening now. So, the October issue was really a response to the fact that more and more on the runways, in the market, and the department stores, you see men and women’s fashion mixed together. We think about, say, how Gucci is being so forward, in terms of fluidity. And then Burberry, and Tom Ford; they’re all presenting men and women’s fashion together. And I think that’s been one of the engines. 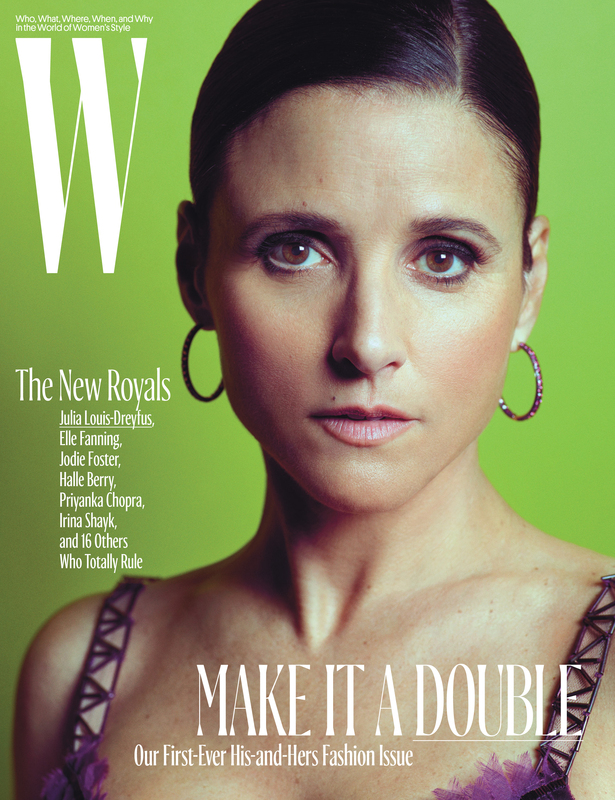 On the size of the October issue and the growth of W (Lucy Kriz): We had our largest October issue in eight years, so it’s a combination of being strategic with resources and funding it through topline growth. 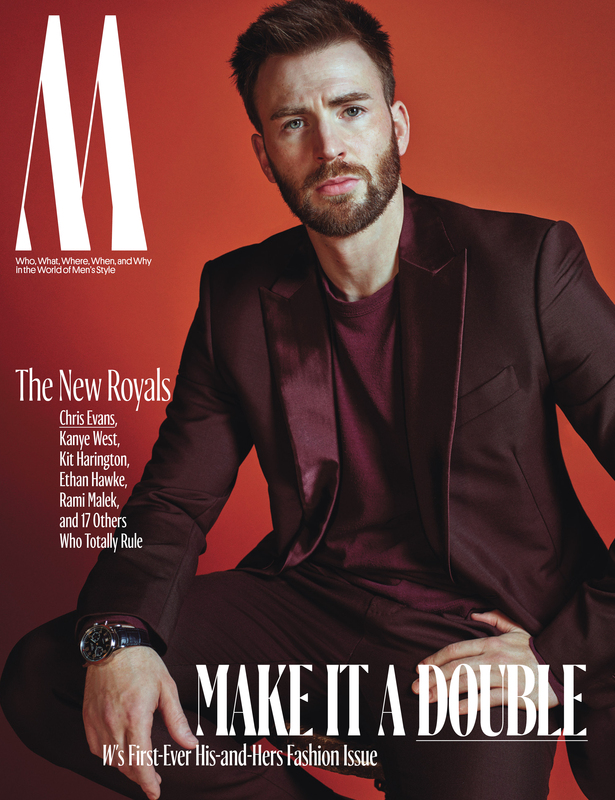 On whether we’re going to see more of the flipped M content (Lucy Kriz): We’re going to move forward with two issues next year that will have his-and-hers content. 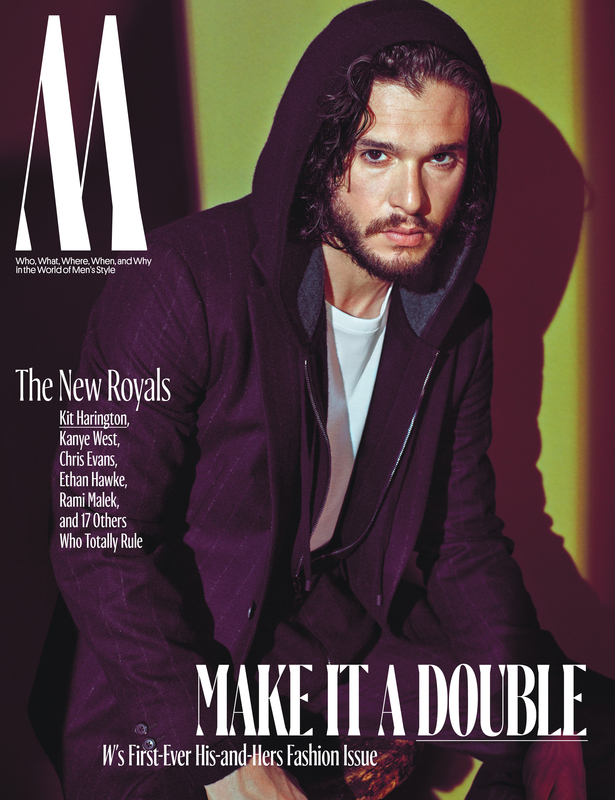 So, in general, we have several issues throughout the year that include both; February is Best Performances; October is our Royals issue, August is the Pop issue so, these are all right for a dual audience. We cover subject matter that makes sense for men and women. We have a more male-focused fashion approach in both April and October. On the recent collaboration of W magazine with many famous artists and creative directors: If you think about this strategy of creating a collectible book; I felt like why don’t we invite iconic, very well-known art directors or creative directors to help us to define collectability? Terry Jones, the founder of i-D magazine, was the first one we called on, not only because he is very close to me and to everyone here, but also because he stands for certain values that are very important to us today, such as identity and the idea of diversity. He has been a great champion of these types of qualities and values. So, the September issue came out as a reflection of what was happening in society and had that attention to gender issues and identity. On whether Lucy’s job as publisher and chief revenue officer is easier, now that everyone seems to realize the value of print these days (Lucy Kriz): Easier? No, I don’t think that’s ever going to happen. (Laughs) But I would say it’s even more exciting, so definitely not easier, but more exciting. And I’ve always been someone who throws themselves at change and newness. W is loved and valued for its incredible content that we produce. And it is a pleasure to be out in the market everyday with that. On whether Stefano thinks the entire climate among editors has changed now that we’re actually living the innovations (Stefano Tonchi): I think that the relationship with the readers and the relationship with the advertisers have changed; it’s a different kind of partnership. We used to be editors generally that would draw from our own knowledge and experience; it was a sort of one-way relationship. There wasn’t really a dialogue. With the advertiser we had a kind of dialogue; we didn’t hide behind a mask or anything, but it wasn’t a very clear relationship; the way we would put pages in the magazine or create content around it. 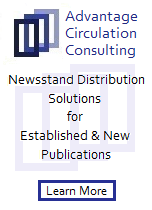 Now we are in a new dimension where we are in a constant relationship with the readers and also with the advertisers. On anything either of them would like to add (Stefano Tonchi): I want to say that it’s very interesting how you have a certain backlash for everything digital when it comes to celebrities. And we see celebrities who are kind of stepping back from social media. Think about Jennifer Lawrence who doesn’t do any social media; a lot of celebrities don’t do it. So, when we do something special in print for a cover story and they agree to it; that makes print very powerful. 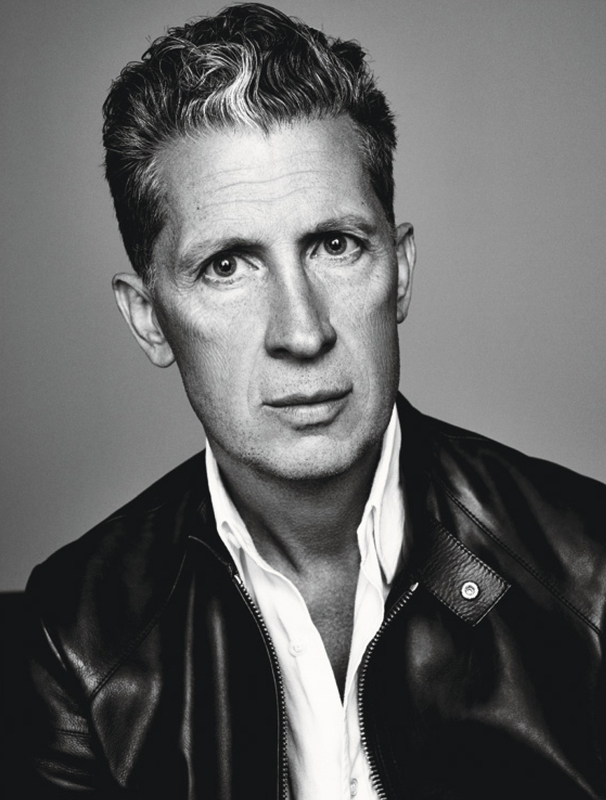 On anything either of them would like to add (Lucy Kriz): You can always augment scale, but augmenting quality is very hard to do, and there has been this shift back to premium content and the trusted sources and we believe that this is going to bode very well for W, and frankly all of Condé Nast. On what keeps them up at night (Lucy Kriz): Let’s see, what’s keeping me up right now? It continues to be differentiating ourselves. We have such a clear position in print and we’ve done a great job of visual storytelling in print. And this collectible strategy is working. I want to continue to push our innovative storytelling in digital. How do we do what we do so beautifully and translate W’s specialness on other platforms? On what keeps them up at night (Stefano Tonchi): It’s the idea of translating the content and the history and position of the magazine through the experience, and finding a way to finance and share it through distribution. I continuously spend time thinking about that, and also original ideas. I try to think as much as possible about things that have not been done. With the Internet it’s about aggregation of someone else’s content. So, I try to think about original content. And now the lightly edited transcript of the Mr. Magazine™ interview with Stefano Tonchi, editor and Lucy Kriz, publisher and chief revenue officer, W magazine. Samir Husni: I understand that we’re about to have a third punch; we had September; we had October; and now November is about to bring us more innovation and revolution in print. Can you tell me about it? Stefano Tonchi: As part of our long-term strategy; what we’re doing makes the magazine more collectible and unique and it keeps readers more engaged. So, taking this idea of collaborating with artists, art directors and with great celebrities, and again in spite of our history; for our 10th anniversary, which will be our November issue, we worked with a lot of different artists, almost 20 of them. Ryan Trecartin and Lizzie Fitch were commissioned for the cover. The duo has been featured in the Venice Biennale and at museums like MoMA PS1, in New York, and the Museum of Contemporary Art, Los Angeles; and yet, they are keenly in sync with what is happening in the culture at large. Michael works with multimedia and many people call him the first Internet artist. We worked with them on this project with two supermodels and social media stars of the moment, Kendall Jenner and Gigi Hadid. And it’s about performance and it’s about creating a series of images of their faces and bodies, which reflects a very interesting take on the idea of beauty and the idea of just where society is at the moment. And that was our November anniversary cover project, but we have a lot of other projects inside the magazine and one of them was a group of posters that we asked 15 artists to create for us. We asked that they have a moral and political message, in terms of what they stand for, when it comes to the message. And this group of artists created posters and they are in the November issue, but they will also be put up in New York and Los Angeles right before the election. So, it’s another way, I think, to reaffirm the power of print, in that sense. You can’t be more “print” than with posters. We had a number of editorial ideas, such as how do you do a house in a new way? So we worked with an artist on a certain house and then we had a novelist write about the owner of that house. It became a very different package after that. I think we are about innovation. We’re about innovation in print and we believe that the best innovation is also in our digital footprint, because everything that we do in print becomes incredibly interesting when we put it online. We start with print, where we have access to great artists, celebrities and models that are doing this with us because they’re going to create something in print that’s still very important to them. And then we amplify it on our social and digital platforms. Samir Husni: Lucy, such innovation in print doesn’t come cheap. You can tell from the printing quality; from the hardback – the special edition in September, and the posters in the flip edition in October. How are you able to afford spending and investing in print in this digital age that we live in? Lucy Kriz: We make very strategic choices on where we’re going to push to make investments. And a big part of this year, certainly, was digital investment. We’ve also made a significant investment to beef up our team; we’ve hired over 16 people for digital this year, and for content. But we’ve also felt very strongly about pushing the print, because it drives so much of the creativity and the access that we have with the talent. And we know as the world has moved to a digital age and content is ubiquitous, the pendulum has swung back to premium content and something tactile. As the world goes hi-fi, there’s also this need for lo-fi. And we felt so strongly about it that we made choices about where to invest. The posters that were sort of this double-flip in October was something we felt was too important to not do, and we pushed resources toward it and I think it also drove significant revenue. And that was critical when you have an exciting moment and I can bring it to market; our marketing partners also see the importance of driving print newness in the market. We had our largest October issue in eight years, so it’s a combination of being strategic with resources and funding it through topline growth. Samir Husni: In preparing for this interview, I was looking at some old issues of W, and I went back to the 10th anniversary when it used to be a newspaper. After 44 years, as you get ready to celebrate your 44th anniversary, can you tell me the unique selling proposition that you have from an editorial point of view that differentiates W, besides the size of the magazine, from the rest of the crowd? Stefano Tonchi: There is something about our point of view and I think it comes from the days when it was a broadsheet. Mr. Fairchild, who started the magazine, was obsessed about the lives of the rich and famous. Following that there was a certain kind of voyeuristic approach that I think is still part of the fascination with W today, in print and in digital, because actually that kind of voyeuristic approach; knowing who is who and where they go and what they do, is one of the big engines of social media. Why do people look at Instagram if it’s not to see what people are wearing, where they are, and who they’re with? Social media is all about voyeurism in the end. So, there is that kind of DNA that’s been part of the brand since it started. And then as a brand, in the ‘90s the magazine became a big fashion photography book, and that’s the other DNA of the magazine. We have that voyeuristic approach and then we have this fantastic fashion photography and that makes it unique. Those two characteristics somehow are the language and the DNA of W. One is very visual and one is more about the content and approach. That kind of idea of being first to know who is who, where, what, was such a Fairchild kind of thing, but later in the ‘90s it became very visual and the most beautiful magazine in the world, and one of the largest ones for sure in America. And really like a place where you discover provocative photography, long narratives that offer something of substance and make you ask where do you find a story like this anymore, and may go on for 40 pages? It’s just something very visual with us. And those are the two things that I think make this magazine very different. The tone and that kind of voyeuristic approach of being first in curiosity, and then the look of it; all of the images, is amazing. Samir Husni: With the October issue, you had the flip W, which became an M.
Stefano Tonchi: We always try to see fashion in the context of contemporary culture and what is happening now. So, the October issue was really a response to the fact that more and more on the runways, in the market, and the department stores, you see men and women’s fashion mixed together. We think about, say, how Gucci is being so forward, in terms of fluidity. And then Burberry, and Tom Ford; they’re all presenting men and women’s fashion together. And I think that’s been one of the engines. So, we keep moving with our readers and our advertisers in a certain way, because I always look at advertisers as readers too; they’re all consumers of our product. Lucy Kriz: It’s how the industry is pushing. Stefano Tonchi: Yes, I want an attachment that says contemporary art, because, again, it’s something that mirrors the attitude of the society that we’re in, and actually the attitude of our consumers, our readers; it’s part of their lives. It’s the same with celebrities; they’re so much a part of the contemporary conversation that you need to have a point of view and we have expanded our presence also in the entertainment industry, making a statement with our movie issue and our Golden Globes party, and that kind of platform. Samir Husni: Are we going to see more of inverted W? Stefano Tonchi: I think what we’re going to see is more men’s editorials, because we think that’s something that the market is ready for. Lucy Kriz: We’re going to move forward with two issues next year that will have his-and-hers content. 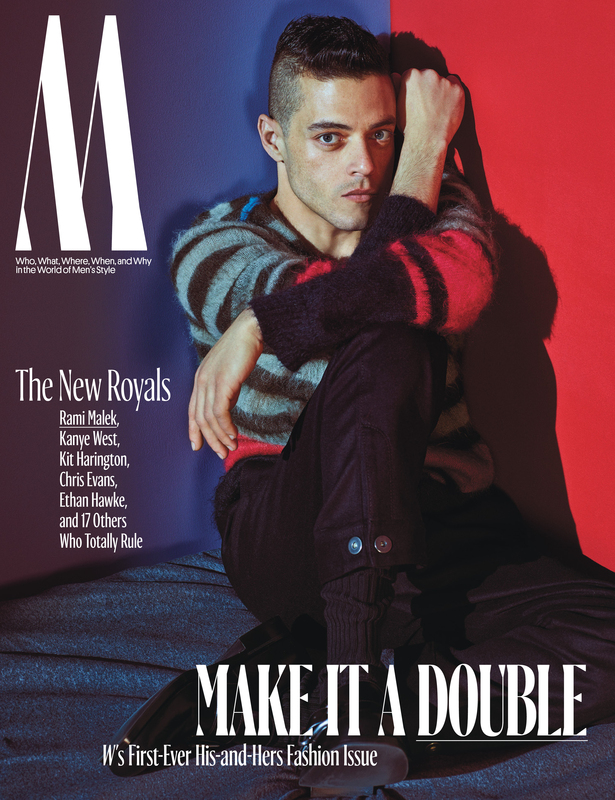 So, in general, we have several issues throughout the year that include both; February is Best Performances; October is our Royals issue, August is the Pop issue so, these are all right for a dual audience. We cover subject matter that really makes sense for men and women. We have a more male-focused fashion approach in both April and October. So, we’ll see the flip W, this flip issue, probably not a double-flip, which we did and was super-exciting, but it will be something else surprising, I’m sure, coming up. But you’ll see that again in April and October; it was very successful for us from a market and advertising perspective. We even heard from female consumers about how much they loved seeing the men’s content. Stefano Tonchi: It also mirrors our evolution in the digital realms. Lucy Kriz: Yes, 50% of our audience is male online. And so we feel that this is a great opportunity for us to expand our content and frankly, our advertising base. We’re excited because the response has been great. We’re going to do it twice in the official way, and then of course, a lot of our culture and art content certainly isn’t focused on just one gender. Samir Husni: The collaboration that you’re having with famous artists and famous fashion people and art directors on these great issues is very interesting. Stefano Tonchi: If you think about this strategy of creating a collectible book; I felt like why don’t we invite iconic, very well-known art directors or creative directors to help us to define a moment? Terry Jones, the founder of i-D magazine, was the first one we called on, not only because he is very close to me and to everyone here, but also because he stands for certain values that are very important to us today, such as identity and the idea of diversity. He has been a great champion of these types of qualities and values. So, the September issue came out as a reflection of what was happening in society and had that attention to gender issues and identity. What we’re going to do for March is something different. We’re going to work with another very iconic art director to define a moment that is very popular with young people and it’s something that we saw emerging in a lot of the recent collections in Milan, Paris and New York for next season. It’s about certain qualities, beauty and elegance. Samir Husni: As you move forward with this print revolution; Lucy, are you finding that your job is getting easier now, since most people see the importance of print these days? Is your job as publisher and chief revenue officer easier now since everyone has experienced both digital and print, or you still have to work 24/7? Lucy Kriz: Easier? No, I don’t think that’s ever going to happen. (Laughs) But I would say it’s even more exciting, so definitely not easier, but more exciting. And I’ve always been someone who throws themselves at change and newness. W is loved and valued for its incredible content that we produce. And it is a pleasure to be out in the market everyday with that. And when our brand partners are in print, they absolutely see the value of being in W. What’s also exciting, and makes it more complicated, is we have many different channels, and a very unique way to tap into a very powerful audience. So, the consumer is on various platforms. The challenge now is that I have advertisers come to me and ask how they can tap into a reader in every way. If I do something really bold in print, how do I talk to the reader in the right tone with social and can we do something big together? How do we engage the reader at the store? Samir Husni: Stefano, from an editorial point of view, do you feel that since you took over at W as the editor in chief that the entire climate among editors have changed and now we’re living the innovation rather than being scared of the disruption and innovations? Stefano Tonchi: I think that the relationship with the readers and the relationship with the advertisers have changed; it’s a different kind of partnership. We used to be editors generally that would draw from our own knowledge and experience; it was a sort of one-way relationship. There wasn’t really a dialogue. With the advertiser we had a kind of dialogue; we didn’t hide behind a mask or anything, but it wasn’t a very clear relationship; the way we would put pages in the magazine or create content around it. Now we are in a new dimension where we are in a constant relationship with the readers and also with the advertisers. Lucy Kriz: I think Burberry was a great example in that we changed the form of the book, but we brought that to them and they bought it. It’s this dialogue that we have now. Stefano Tonchi: With many of the collaborations, you have editorial ideas, but you also have to make them live on so many different platforms, such as Instagram and Facebook. Then you create events around the editorial idea, so it’s really much more of an involvement now. And the idea of being scared of technology; I’ve never been scared of it, but I also see technology and all of these innovations as a technical revolution, in terms of a revolution that’s about distribution. It’s not a revolution that changed the value of content completely. Sure, if you’re working on a certain platform, you have to make a shorter story or something more colorful, or more easy to digest on the mobile phone, but at the same time, good content or a good interview; a great image, is the most valuable asset today. And that has nothing to do with technology; that has to do with creativity and talent. Somebody that does an interview with a celebrity and brings out quotes that immediately become a huge digital sensation; well, that’s still the talent of the writer. 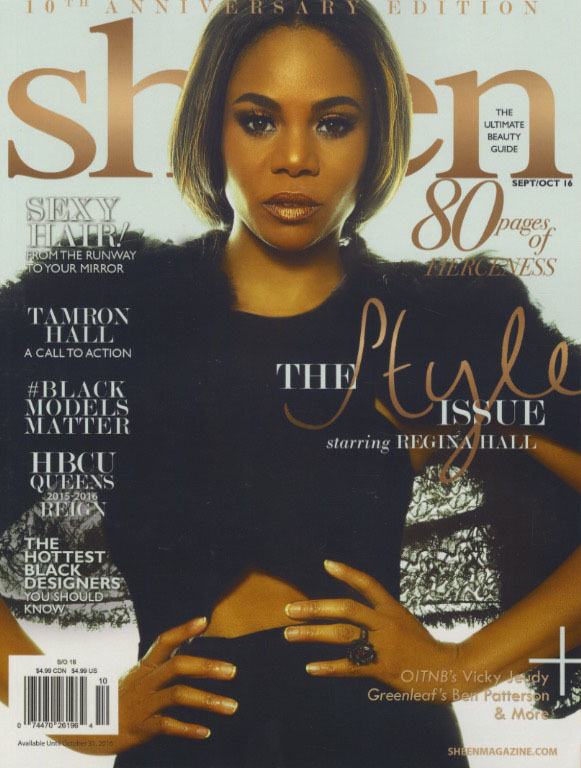 Or like that image of Rihanna that we put on the September cover; it’s valuable no matter how you distribute it. It’s valuable because there was a group of people with incredible talent and experience that created it. And it was really created by hand; by the makeup artists; the work of stylists and the photographer, and that’s really valuable. Samir Husni: Is there anything that either of you would like to add? Stefano Tonchi: I want to say that it’s very interesting how you have a certain backlash for everything digital when it comes to celebrities. And we see celebrities who are kind of stepping back from social media. Think about Jennifer Lawrence who doesn’t do any social media; a lot of celebrities don’t do it. So, when we do something special in print for a cover story and they agree to it; that makes print very powerful. Still, one of the biggest stories of last year is the Caitlyn Jenner cover and article in Vanity Fair and it was in print. She could have done it on a digital platform with a much larger audience, but guess what; she did it in a printed magazine. She did it with a classic photographer, Annie Leibowitz. Lucy Kriz: You can always augment scale, but augmenting quality is very hard to do, and there has been this shift back to premium content and the trusted sources and we believe that this is going to bode very well for W, and frankly all of Condé Nast. Lucy Kriz: Let’s see, what’s keeping me up right now? It continues to be differentiating ourselves. We have such a clear position in print and we’ve done a great job of visual storytelling in print. And this collectible strategy is working. I want to continue to push our innovative storytelling in digital. How do we do what we do so beautifully and translate W’s specialness on other platforms? What we’re doing is working. We are scaling in social, for sure, and it’s interesting to see much larger brands than ours that are more mass, have tiny audiences in social. So, there’s this ascension of niche. But how do we make sure that we’re representing our uniqueness in social, and particularly in feed. It’s something that I’m thinking about all of the time. Stefano Tonchi: It’s the idea of translating the content and the history and position of the magazine through the experience, and finding a way to finance and share it through distribution. I continuously spend time thinking about that, and also original ideas. I try to think as much as possible about things that have not been done. With the Internet it’s about aggregation of someone else’s content. So, I try to think about original content. I like to think about a certain kind of moral and political power that magazines have today professionally. I always think about designers as people who have an incredible, moral responsibility, so I think fashion magazines can have a moral responsibility. You are currently browsing the Mr. Magazine blog archives for October, 2016.